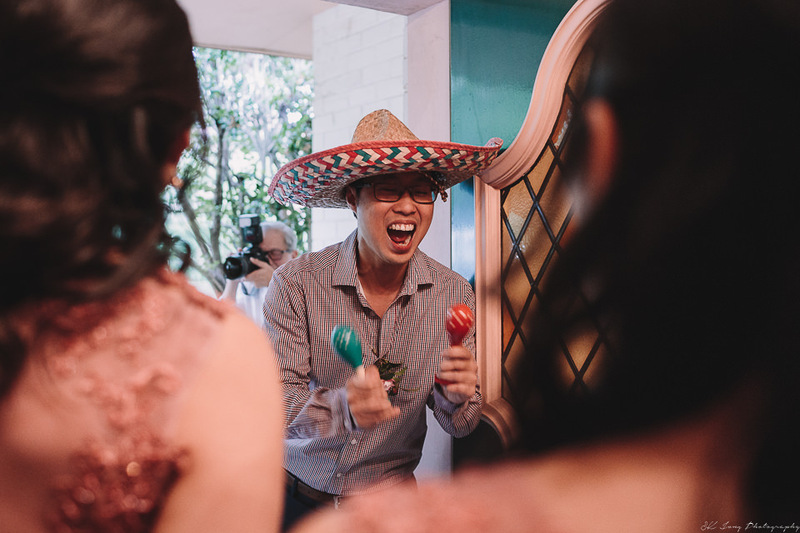 My alarm when off at 5am (Sydney time, 3am Malaysia time), Hui Hui & I get ready and had quick breakfast then headed to Karen's place as she is getting ready at 6am. 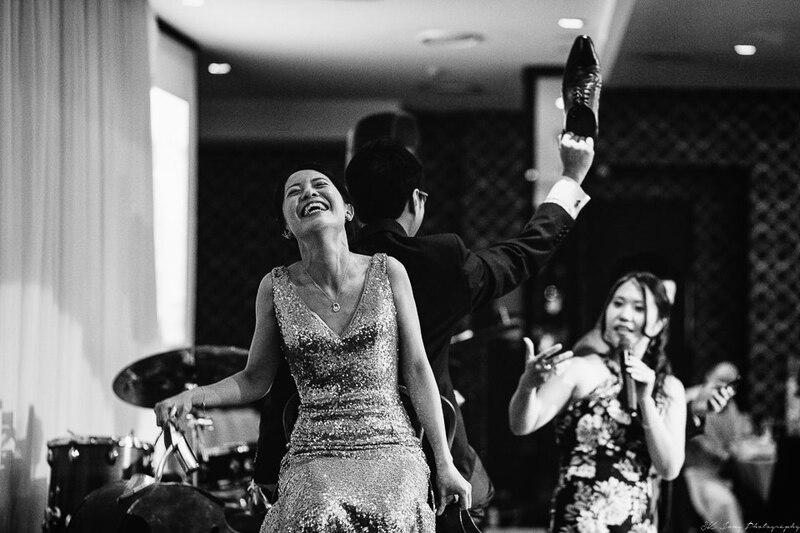 It was a short taxi ride from the hotel we stayed at. 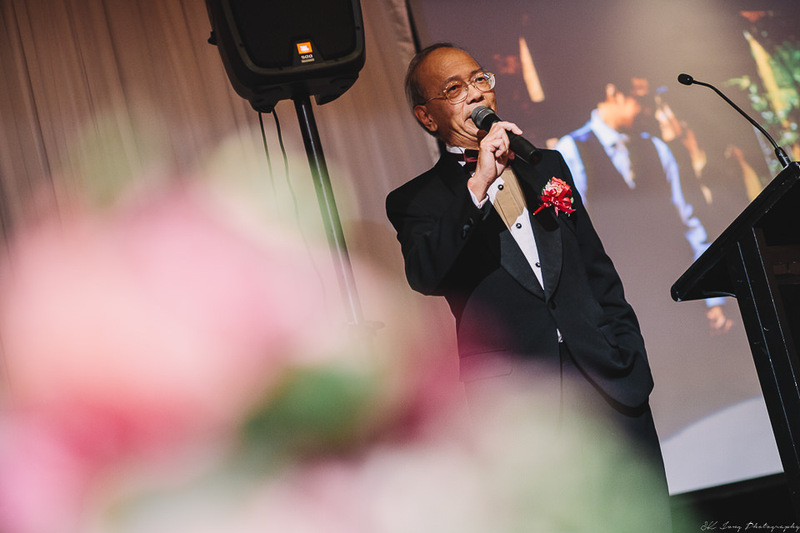 Lovely morning and the weather and temperature just nice (I wish Kuching had this sort of weather). 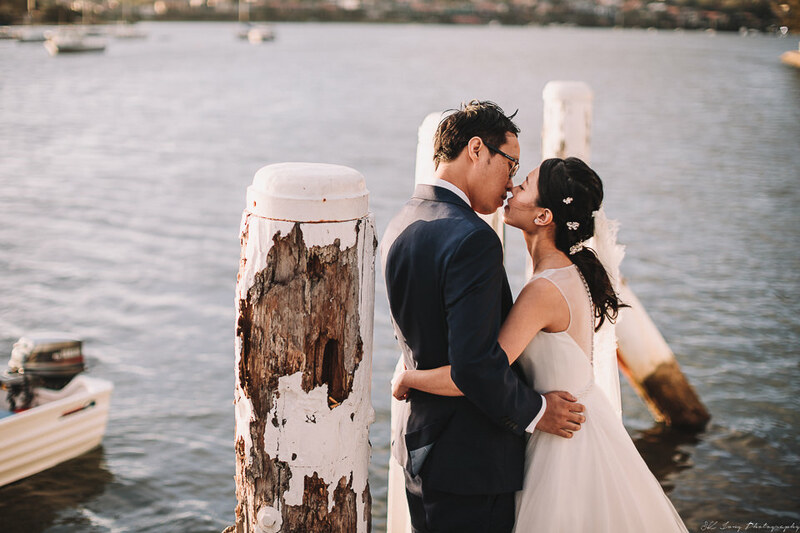 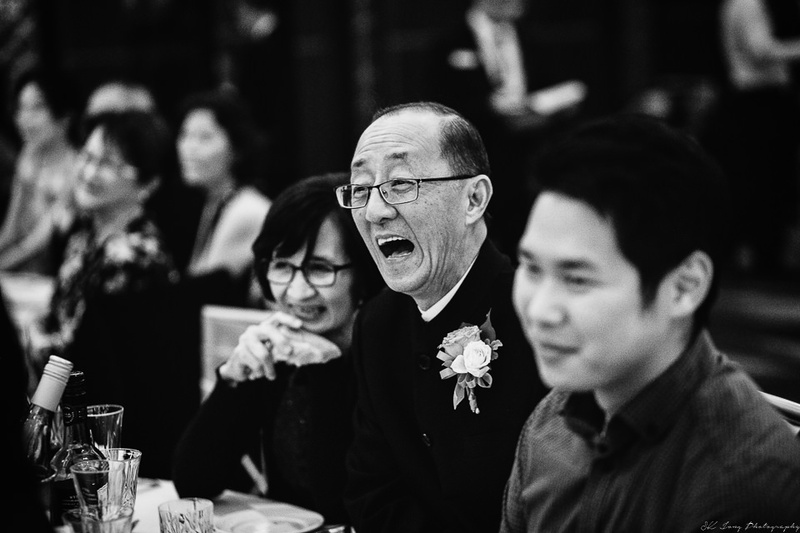 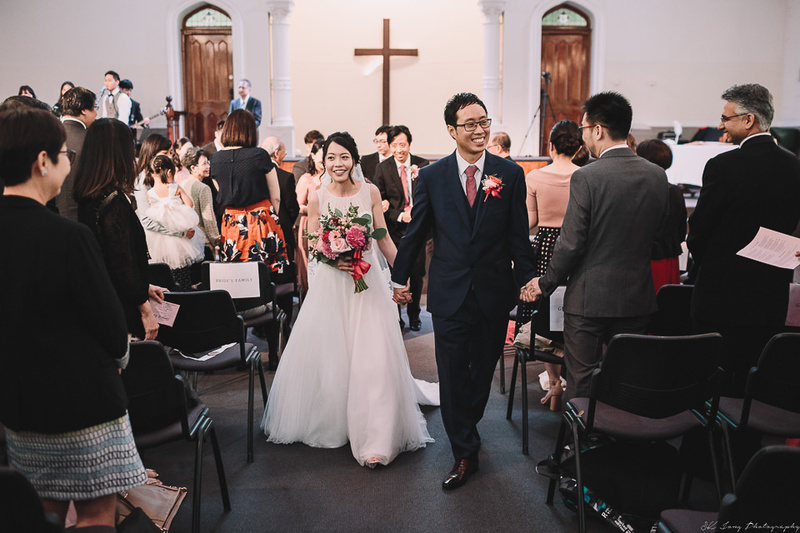 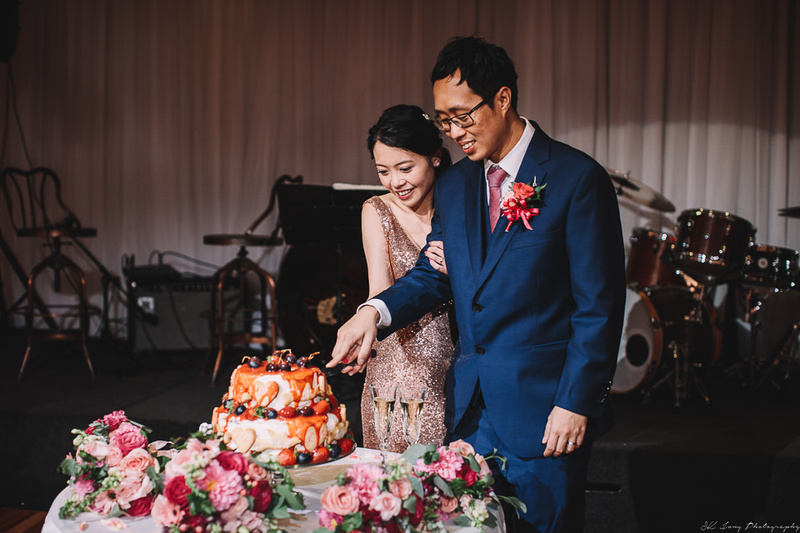 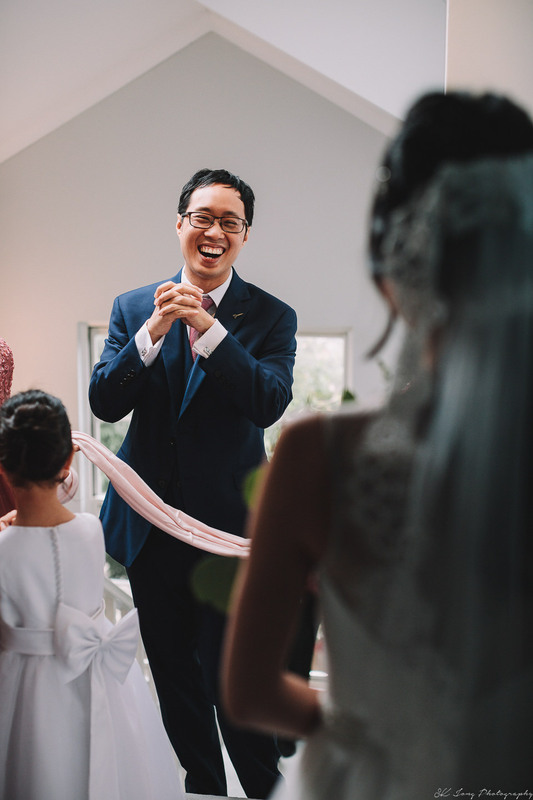 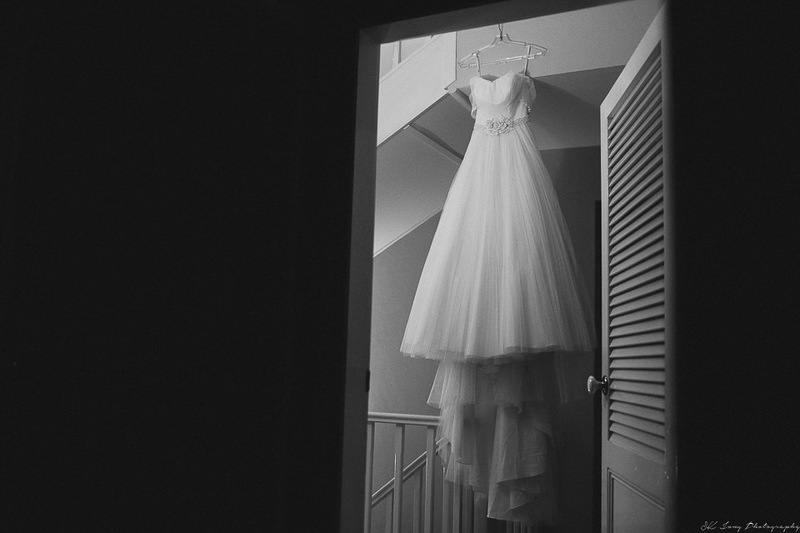 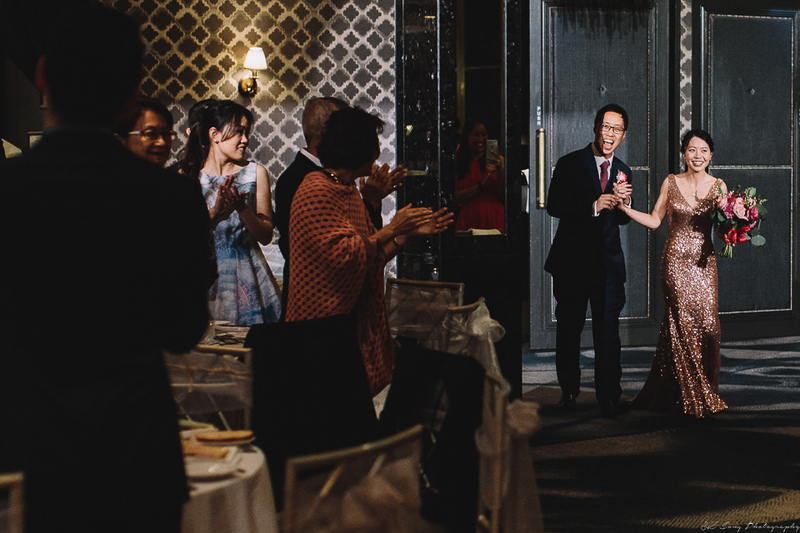 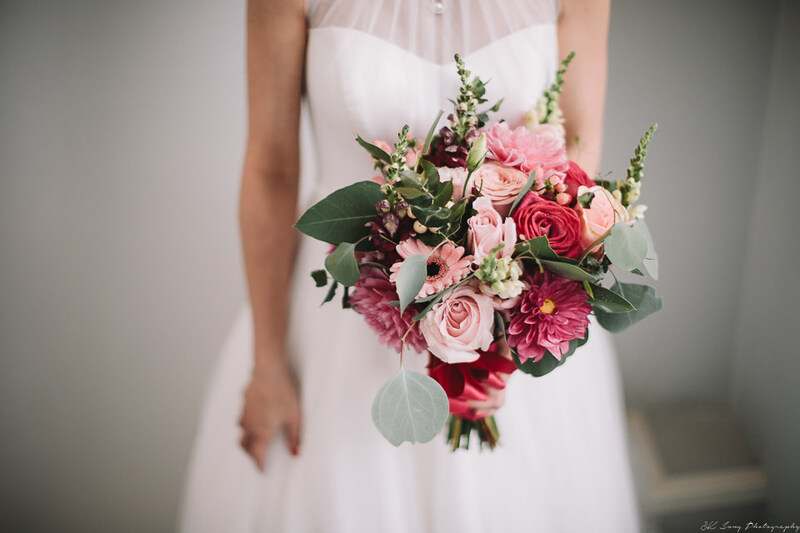 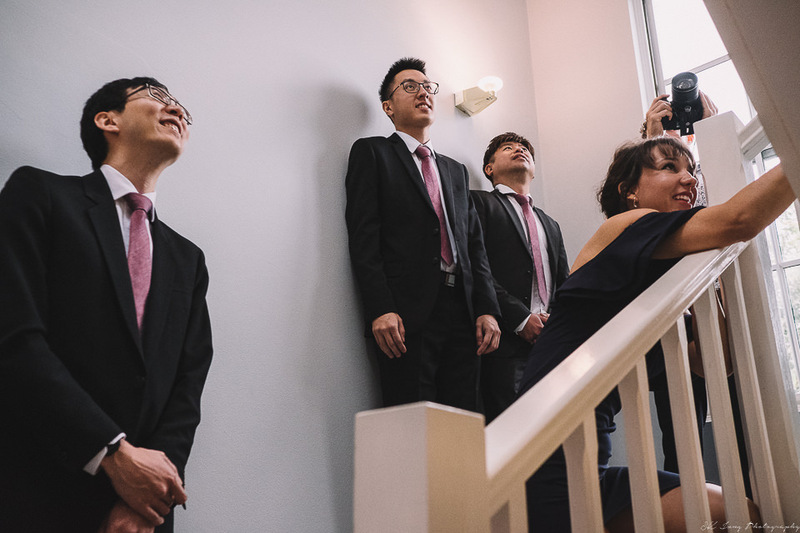 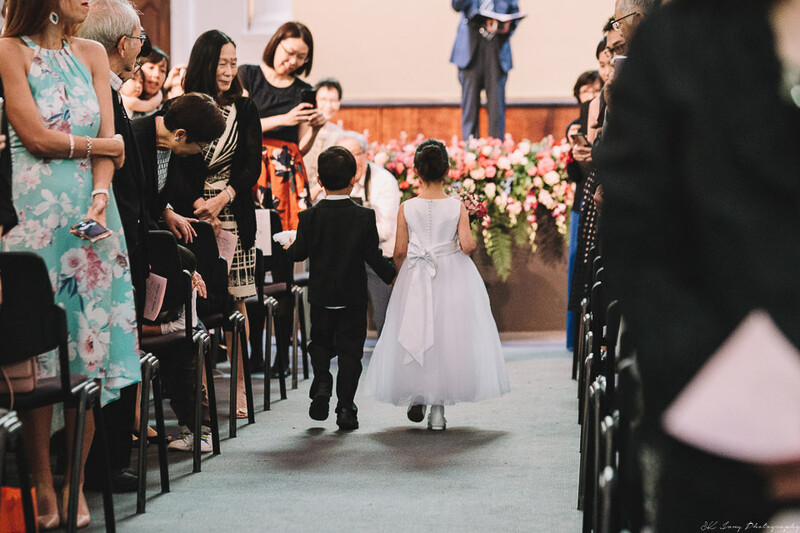 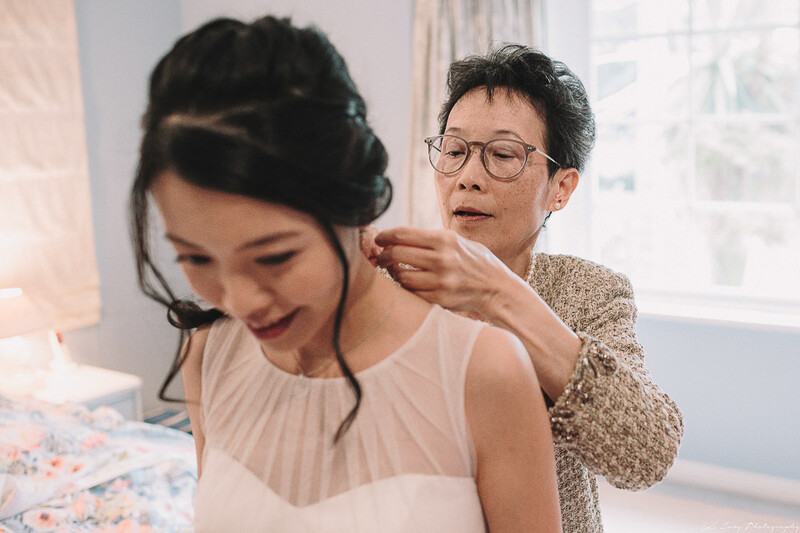 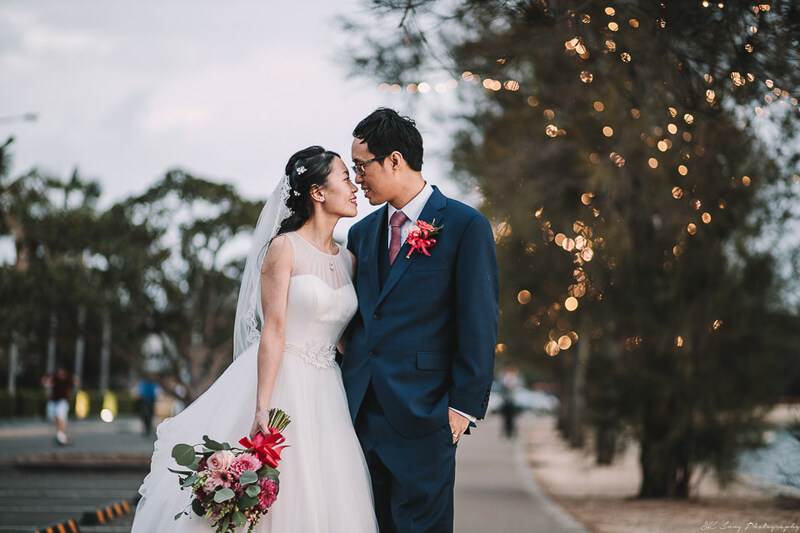 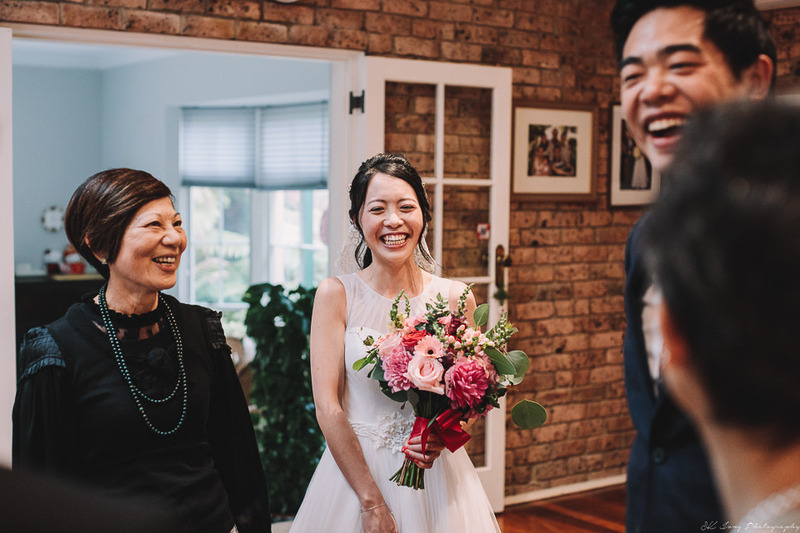 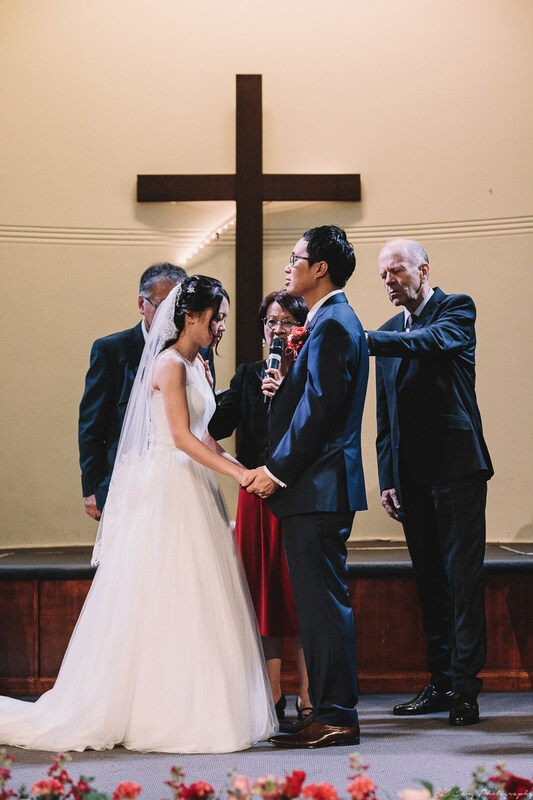 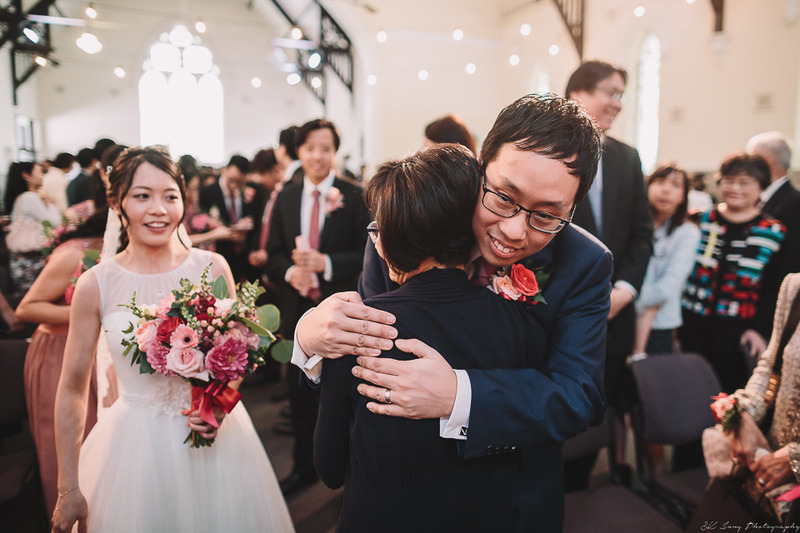 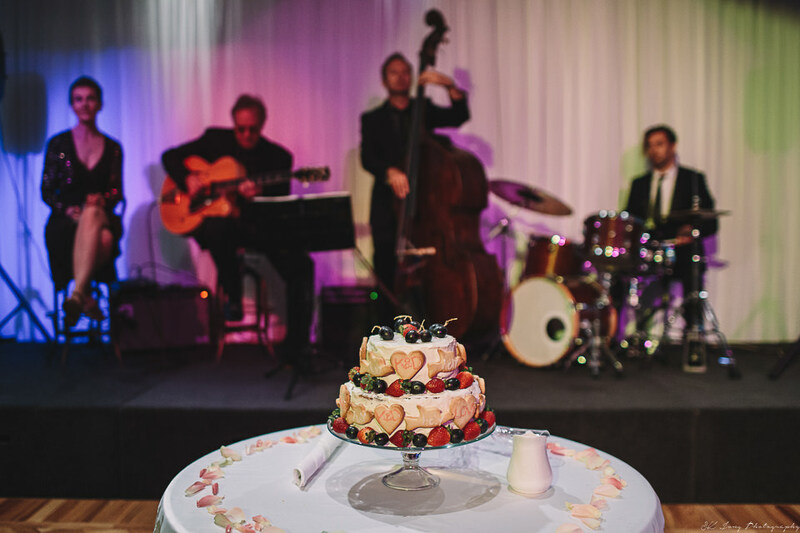 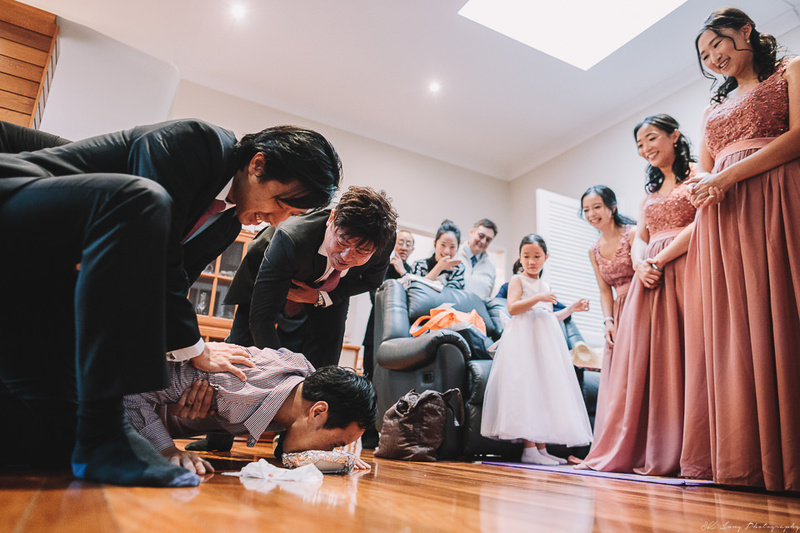 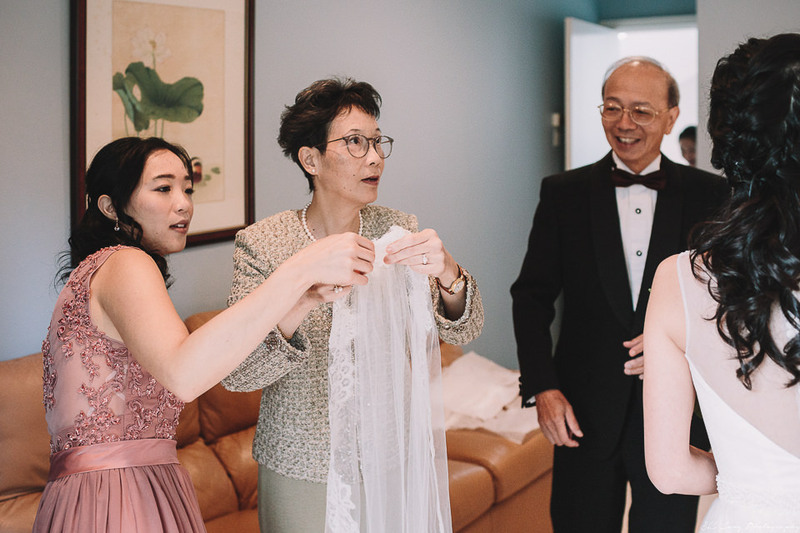 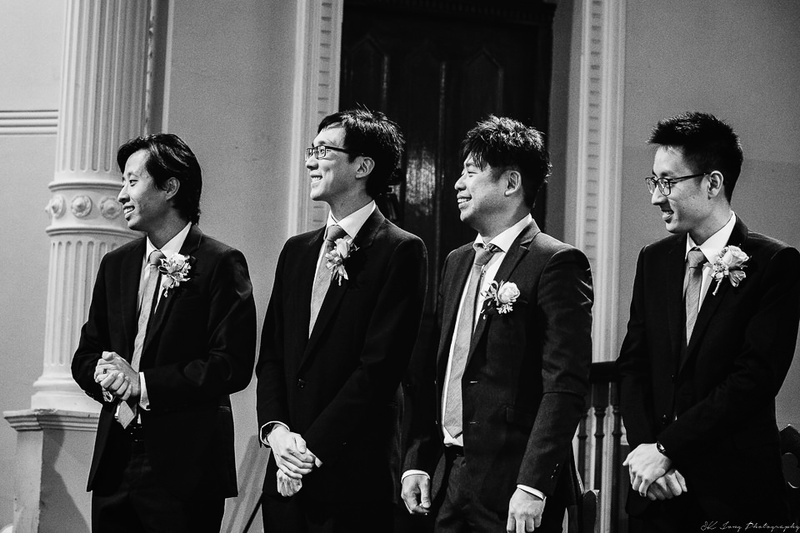 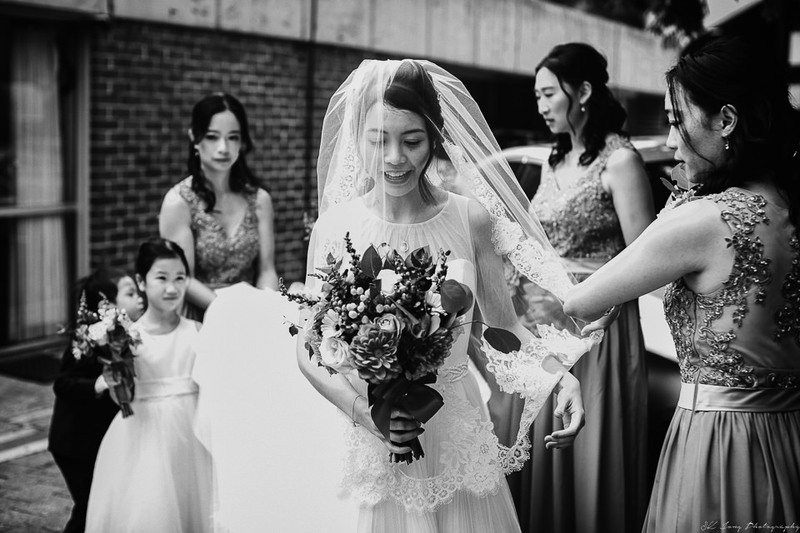 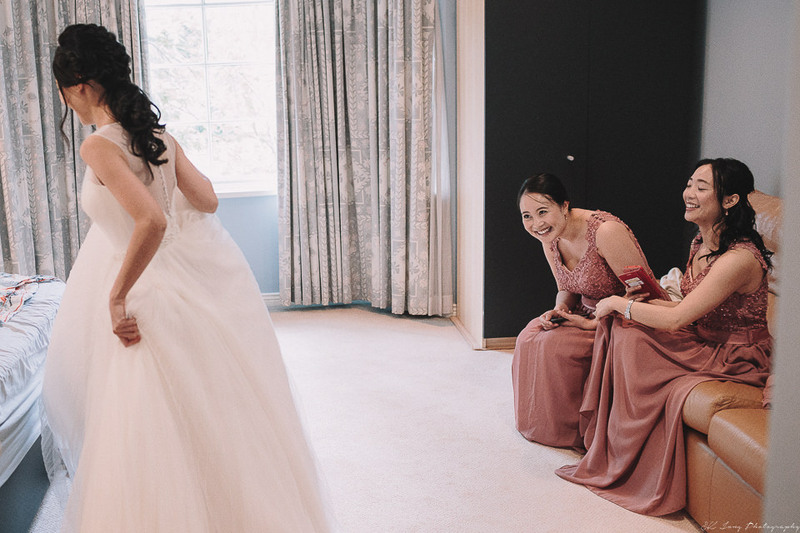 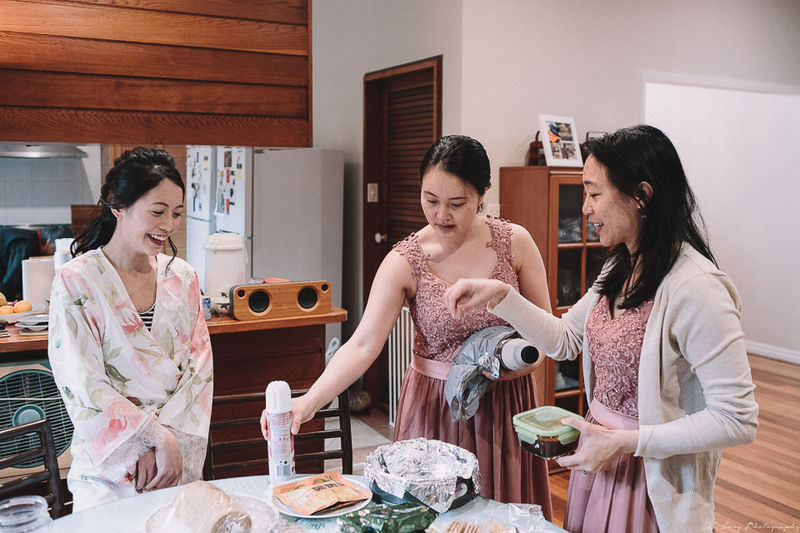 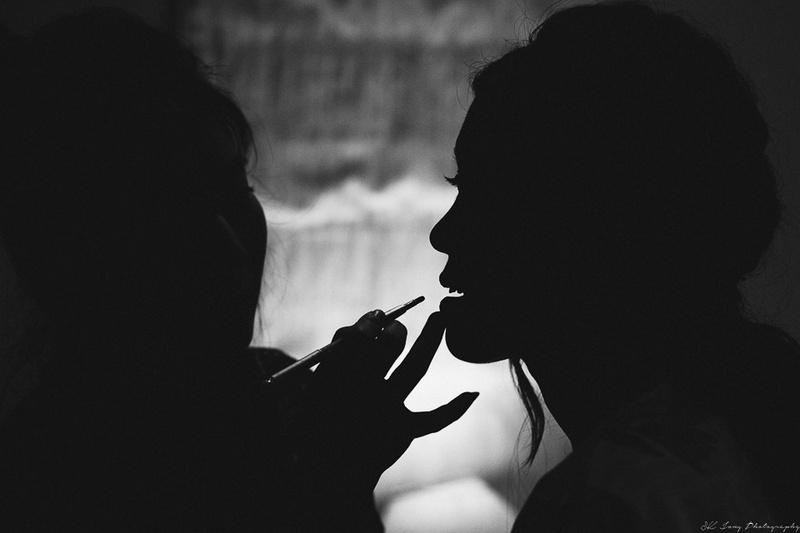 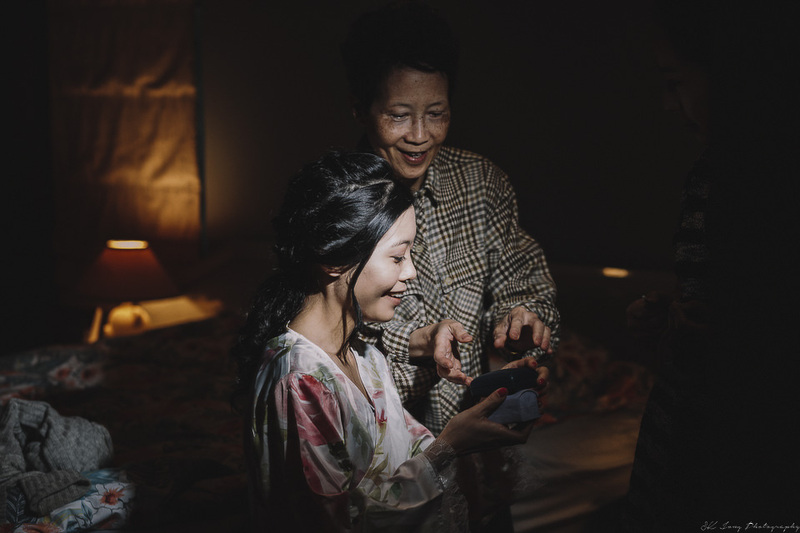 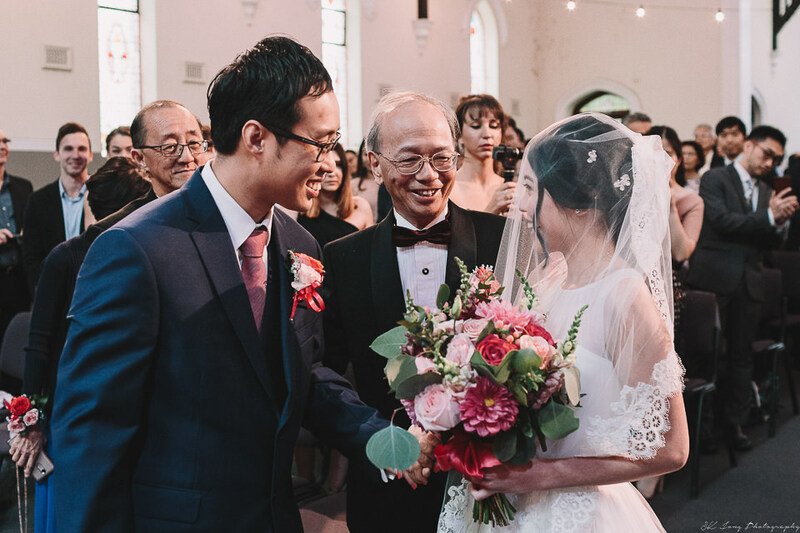 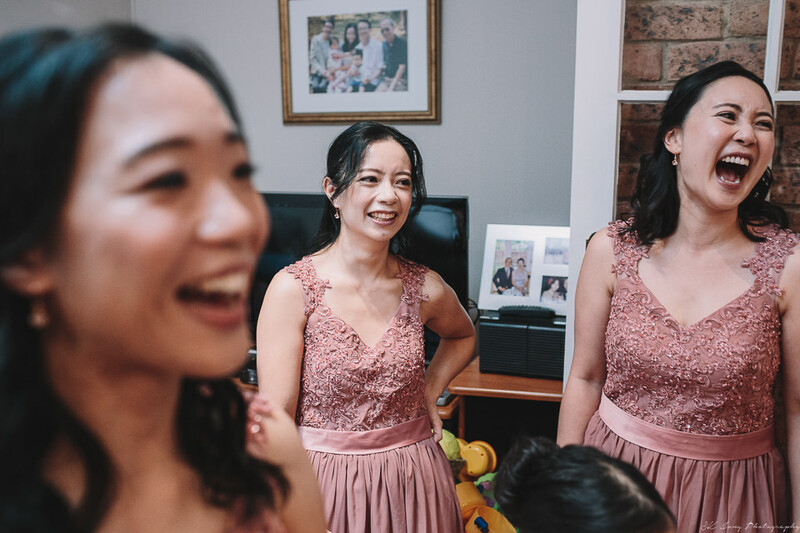 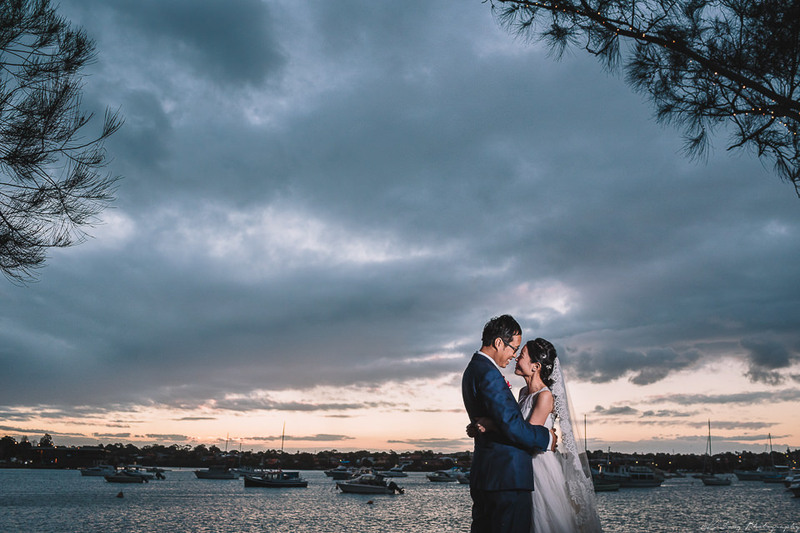 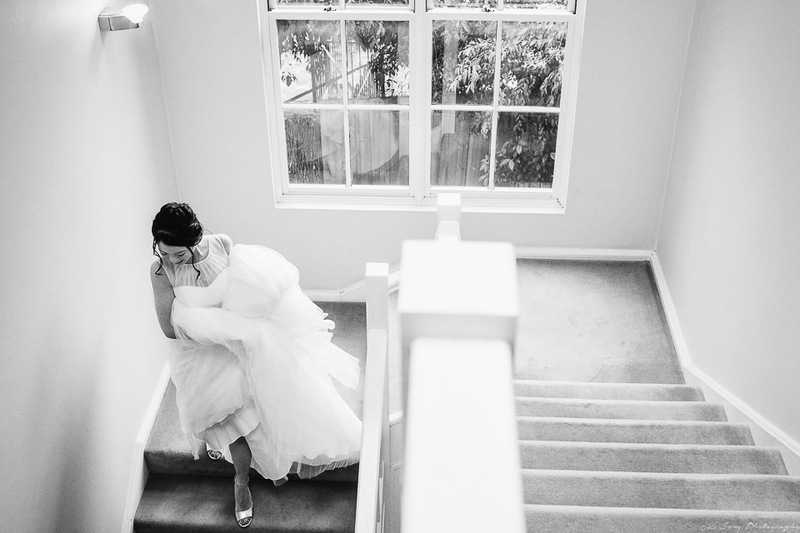 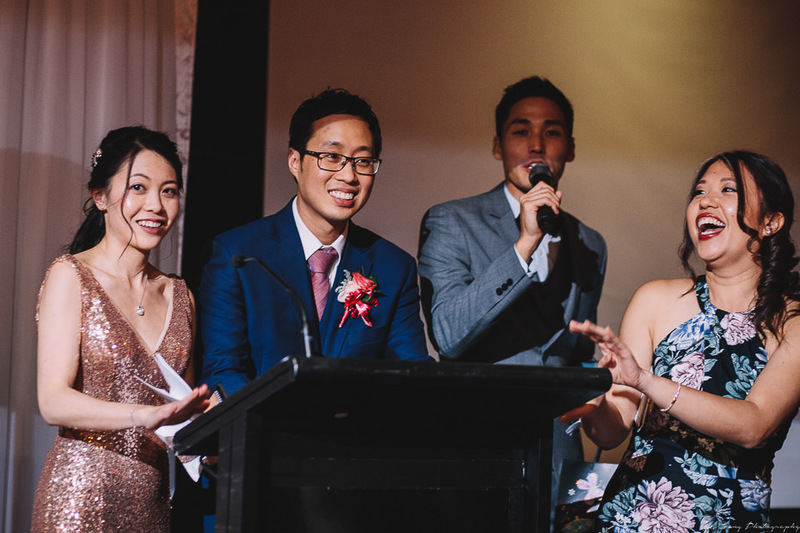 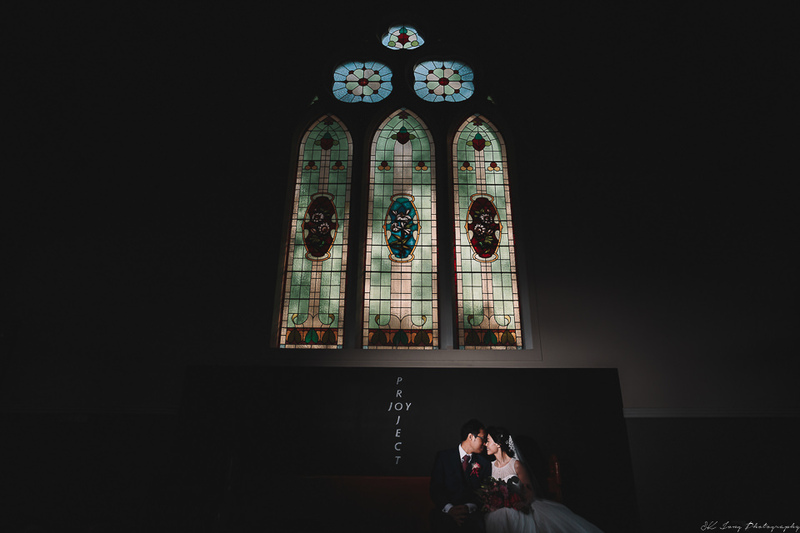 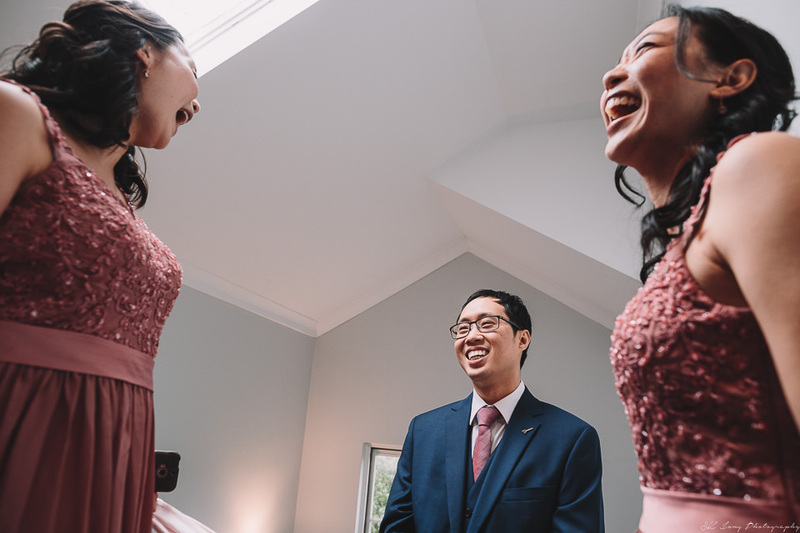 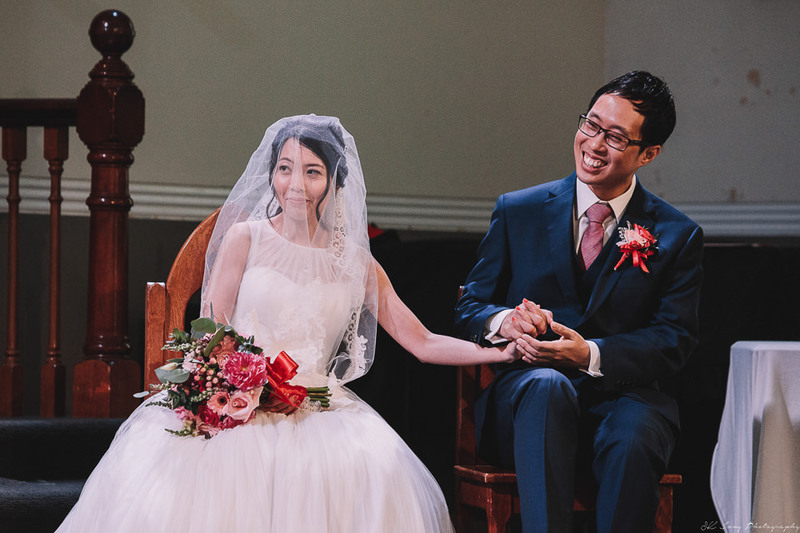 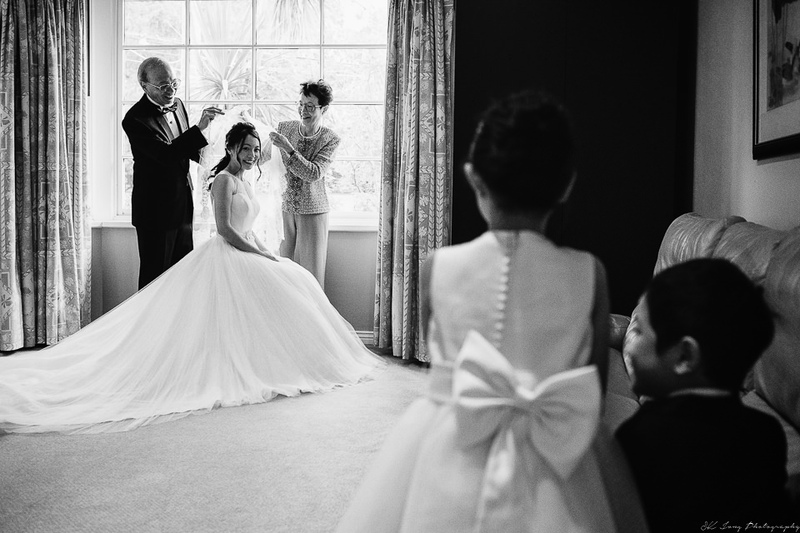 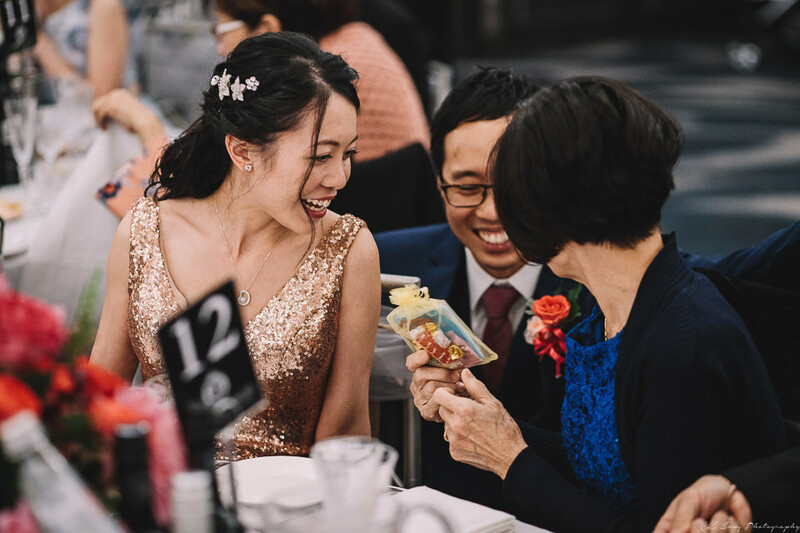 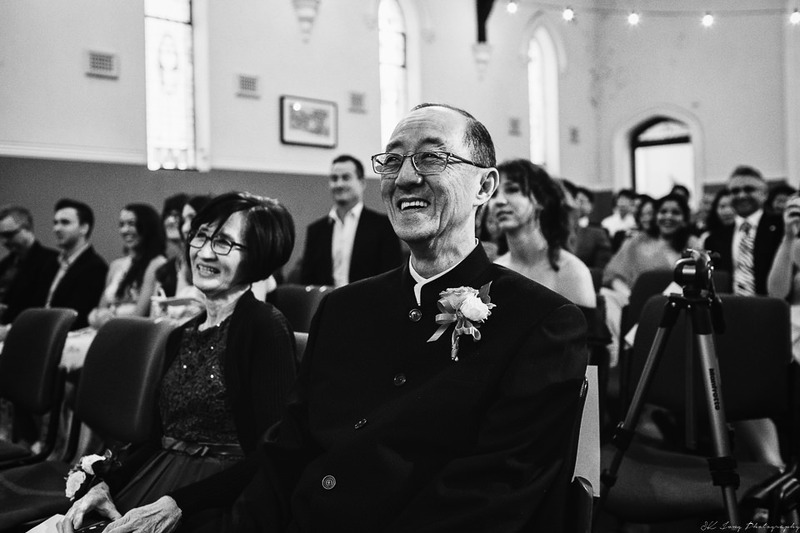 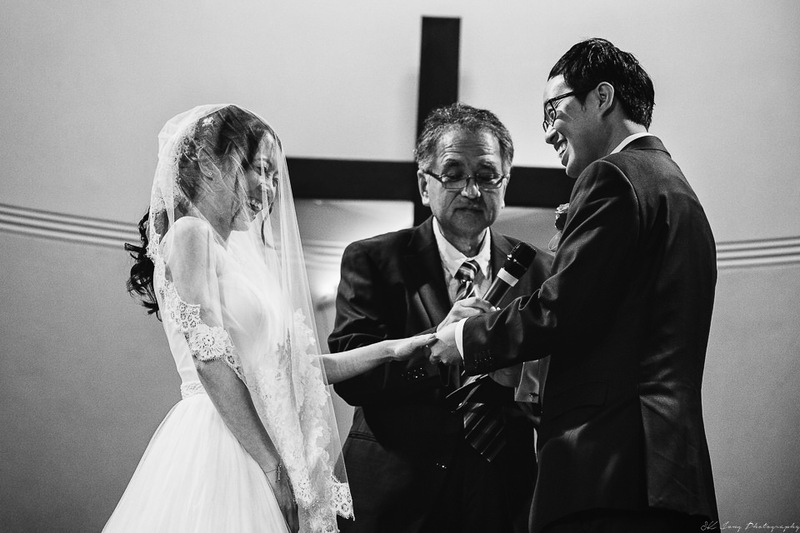 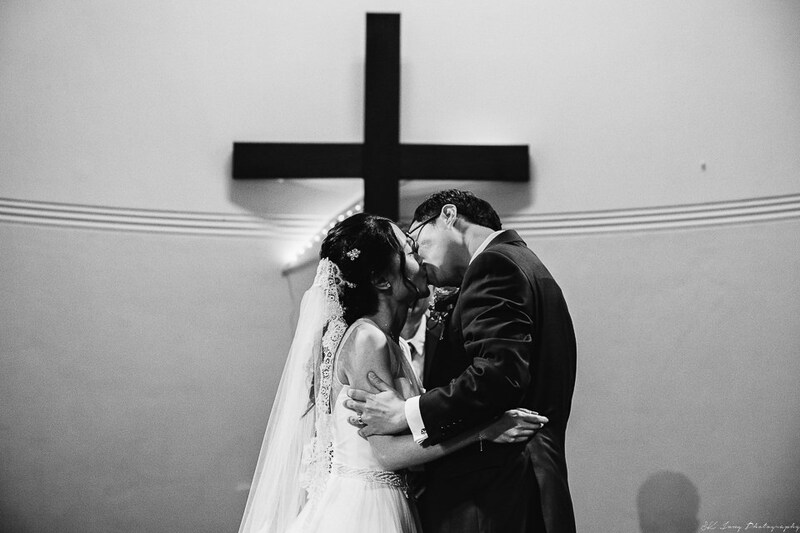 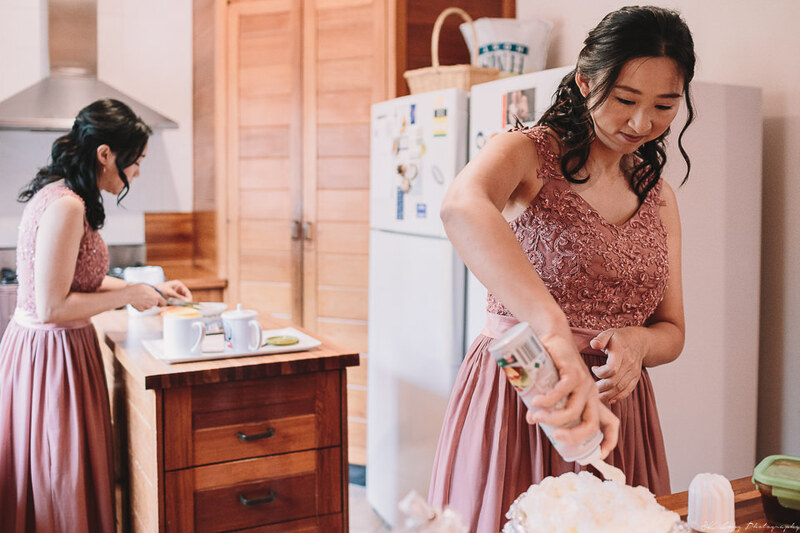 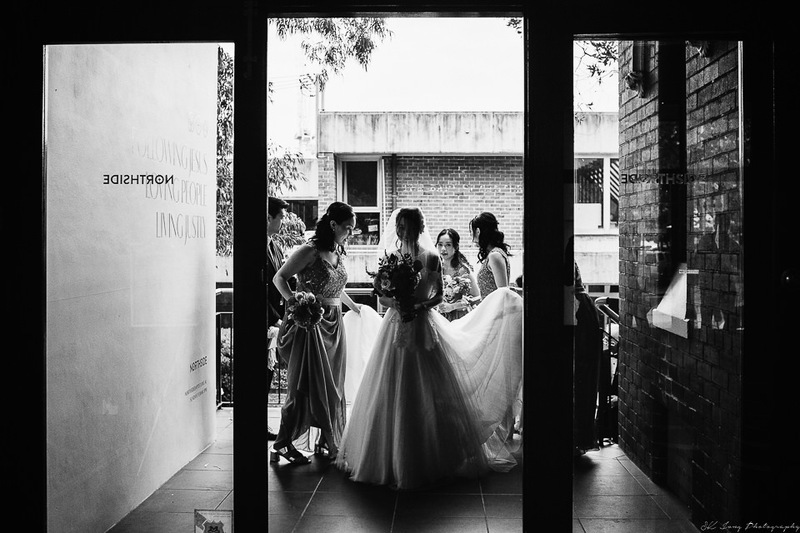 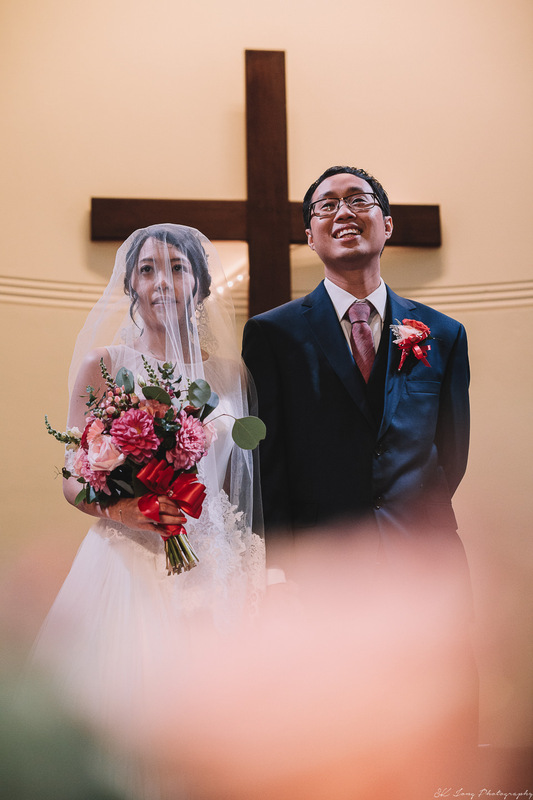 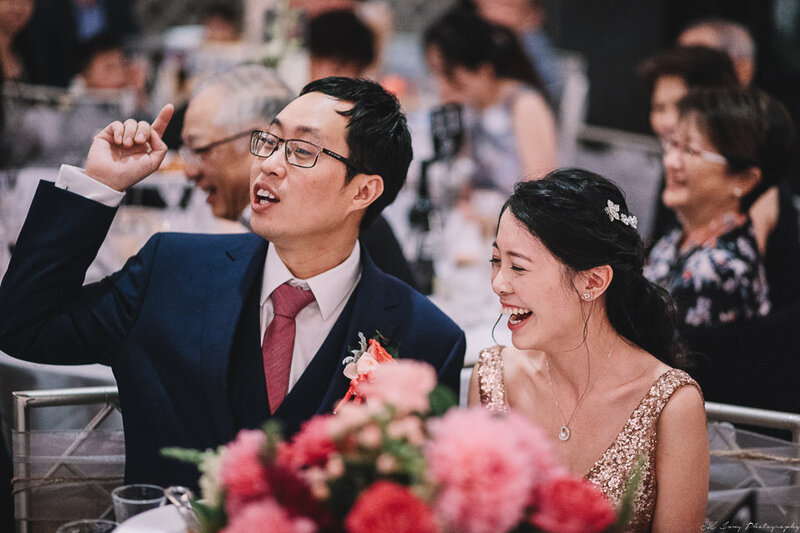 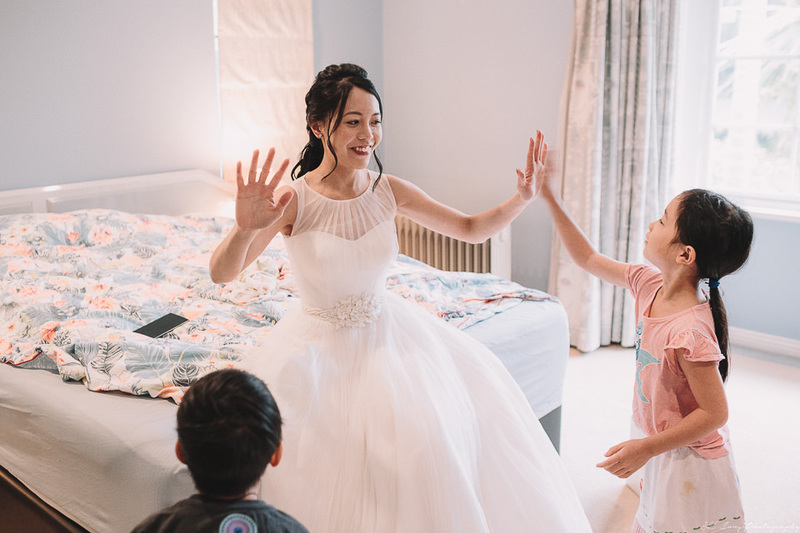 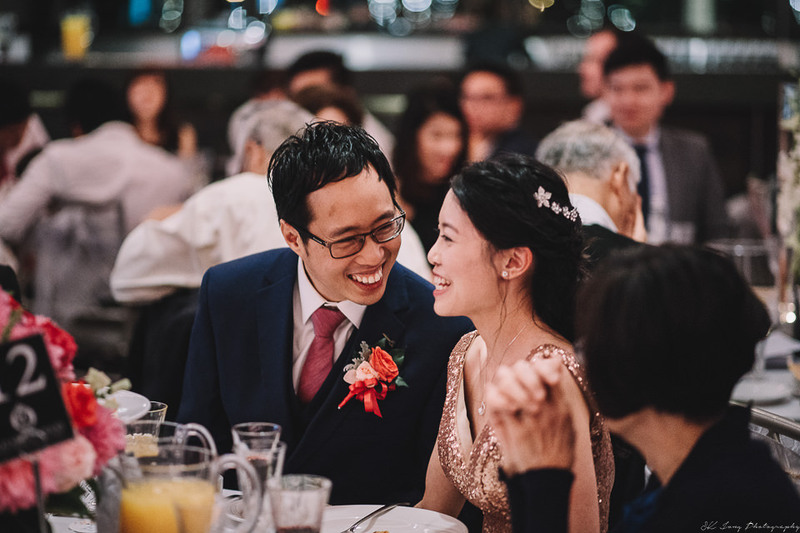 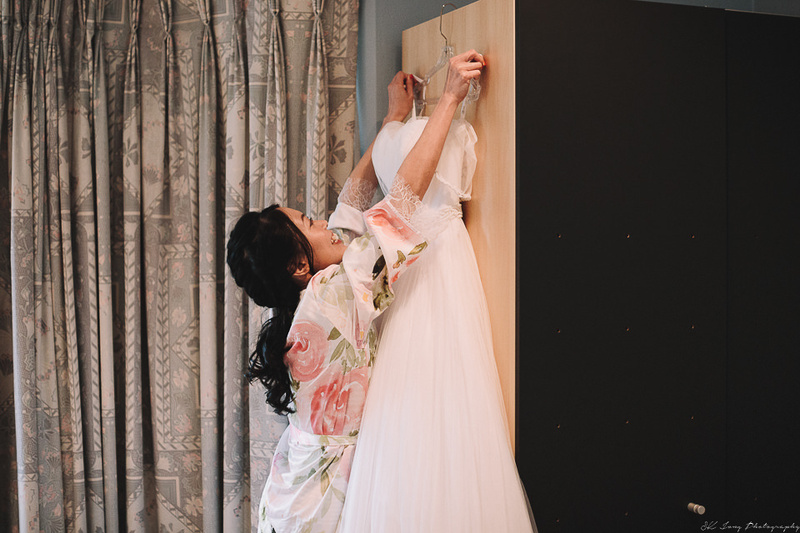 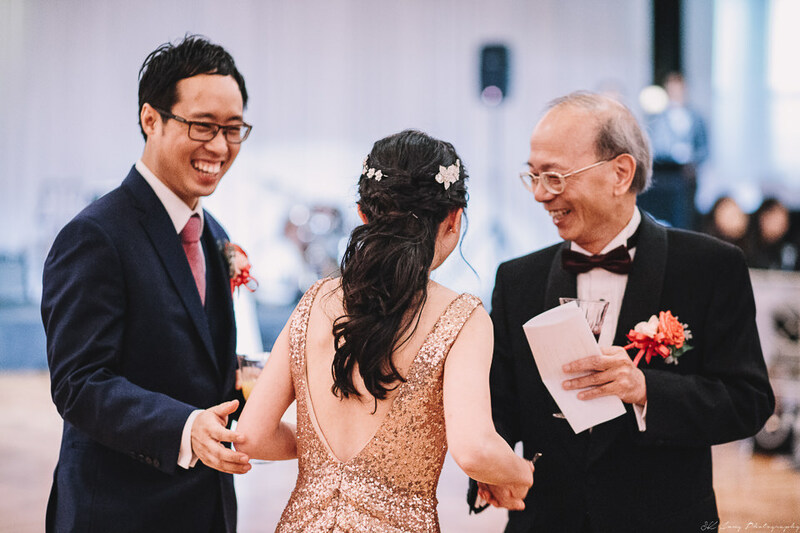 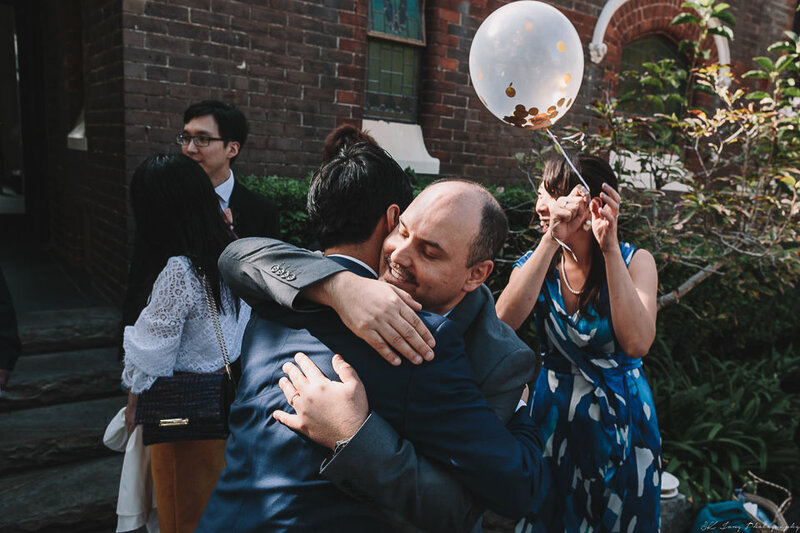 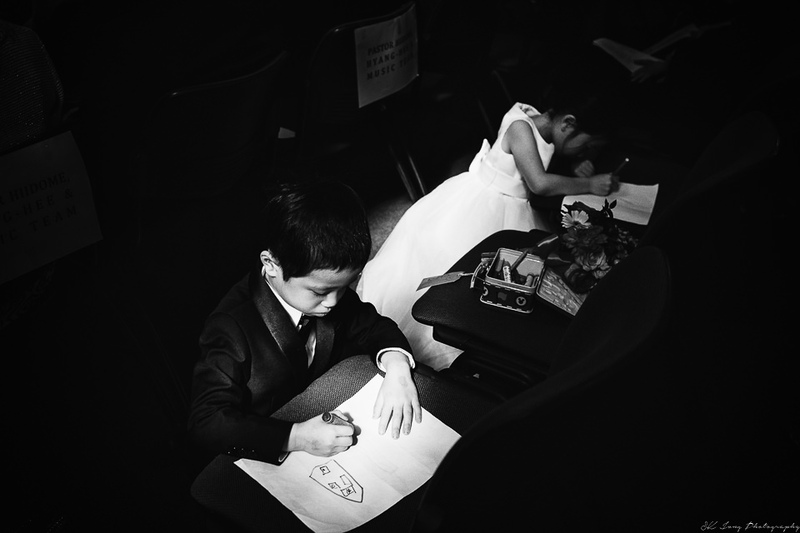 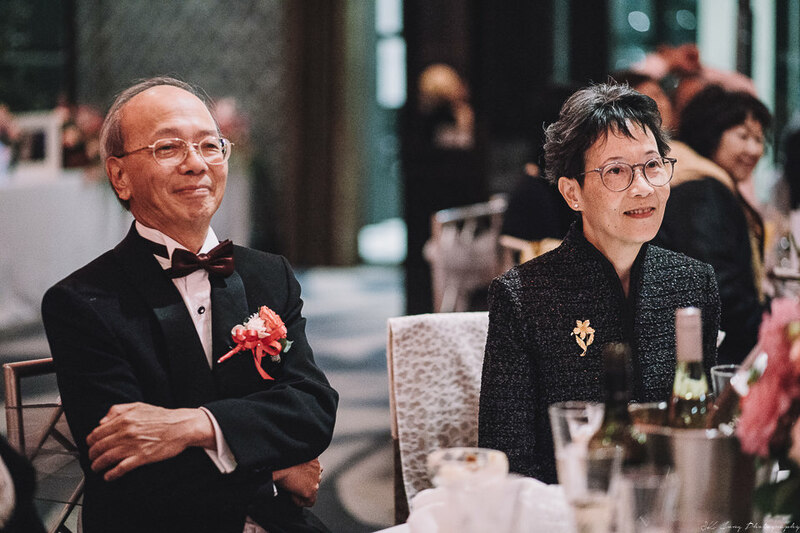 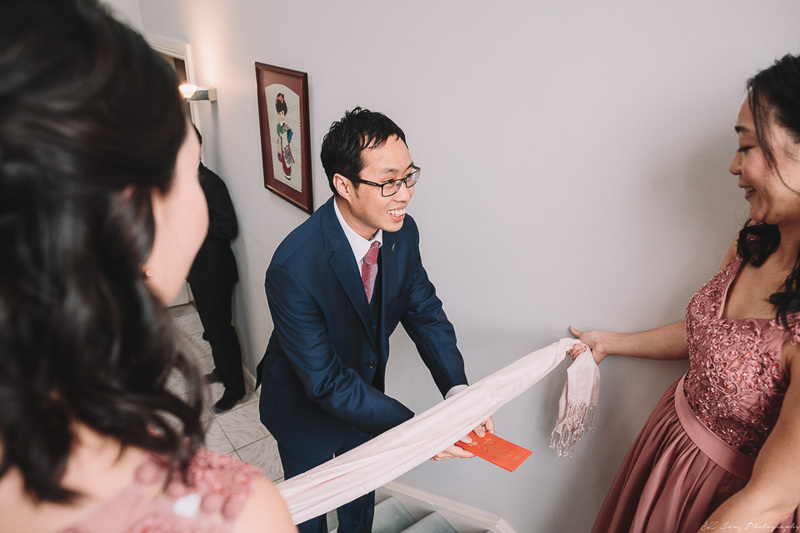 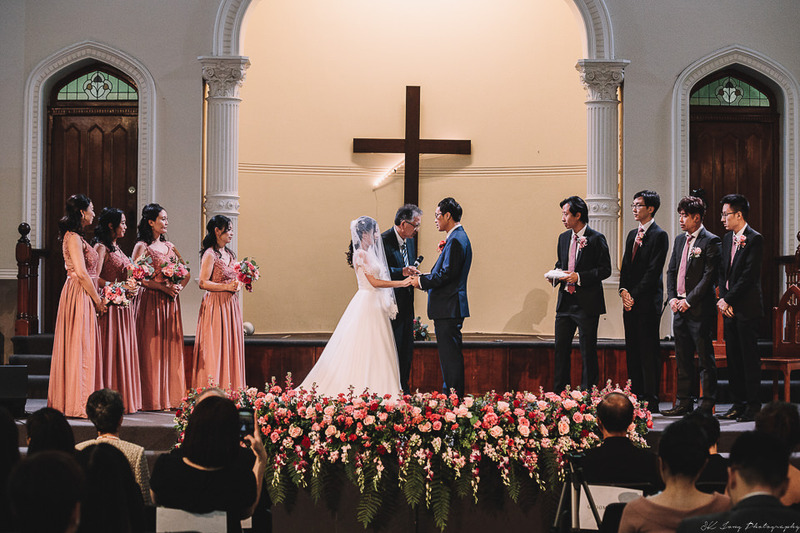 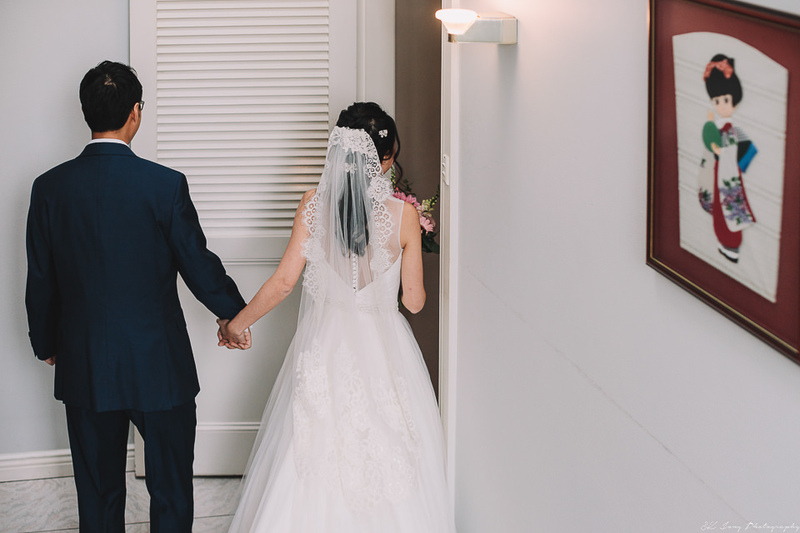 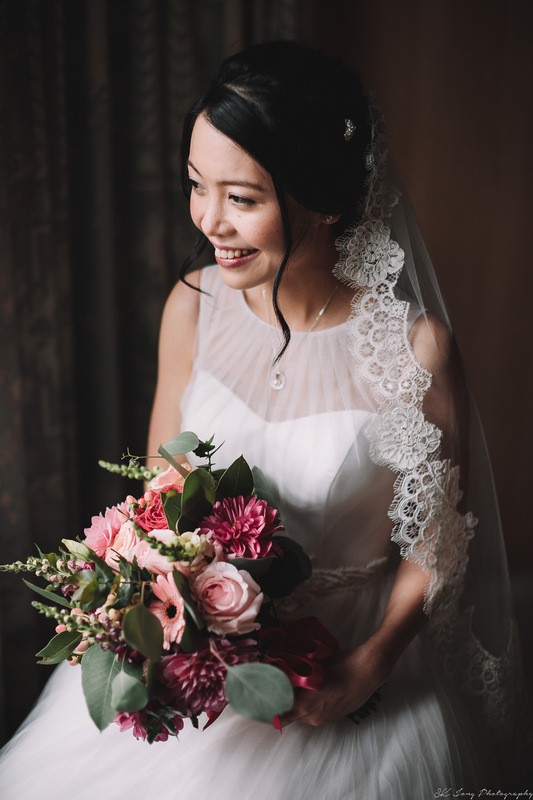 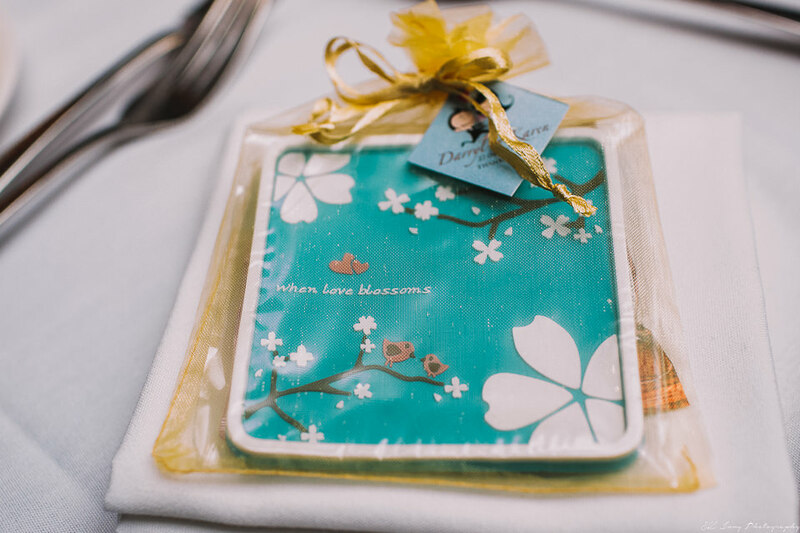 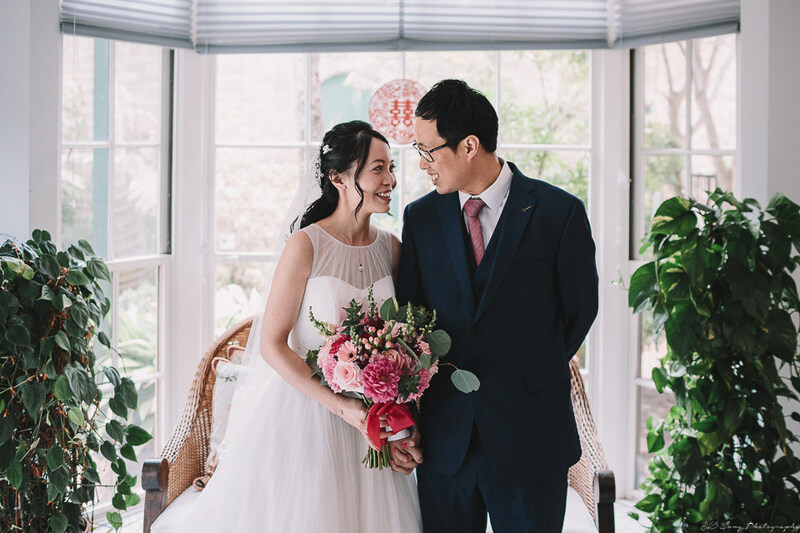 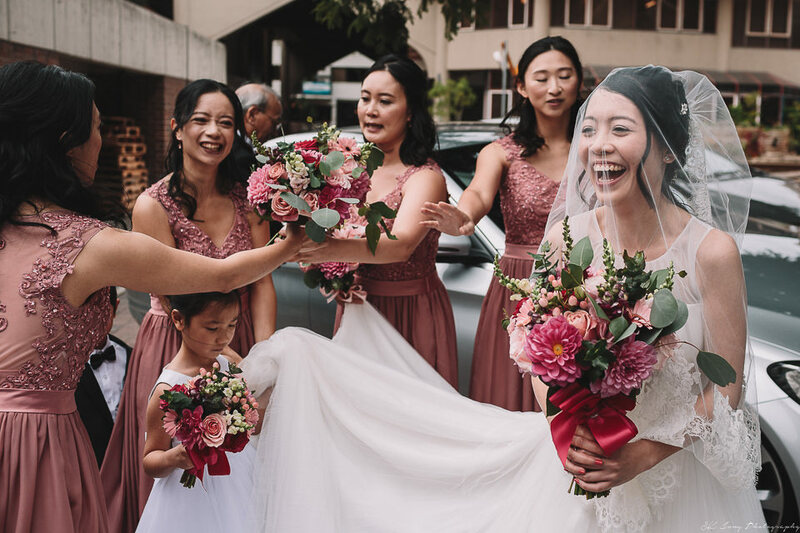 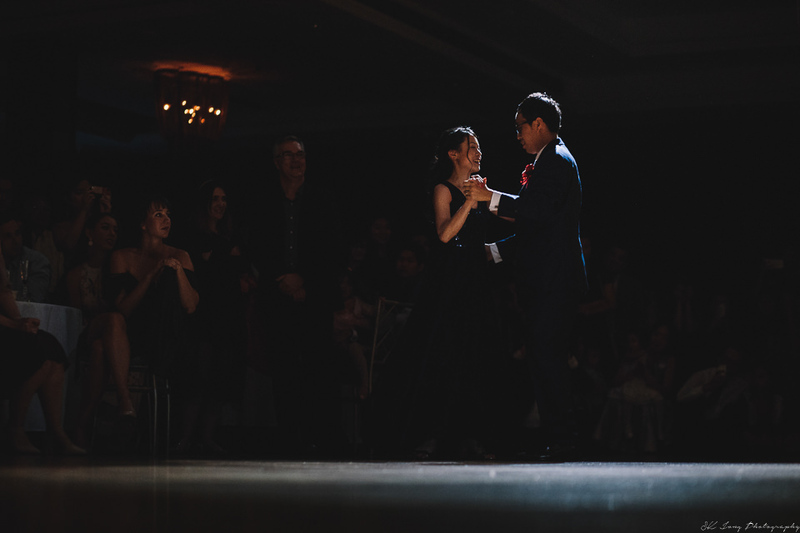 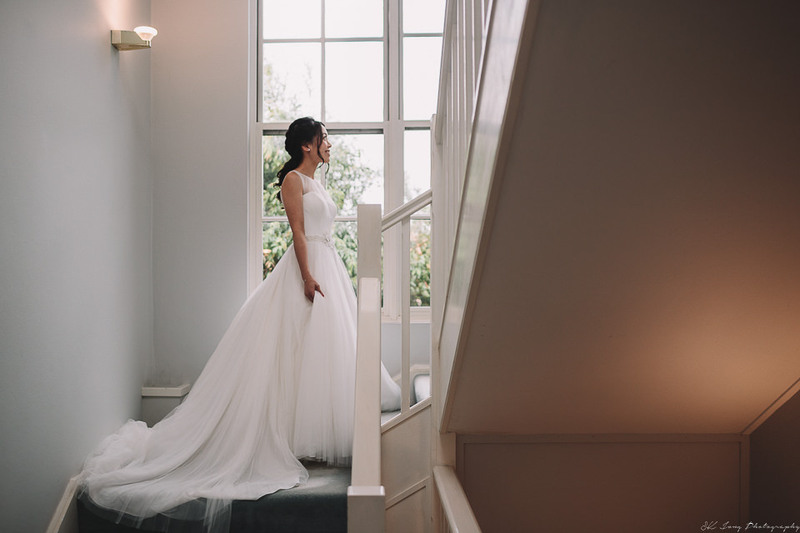 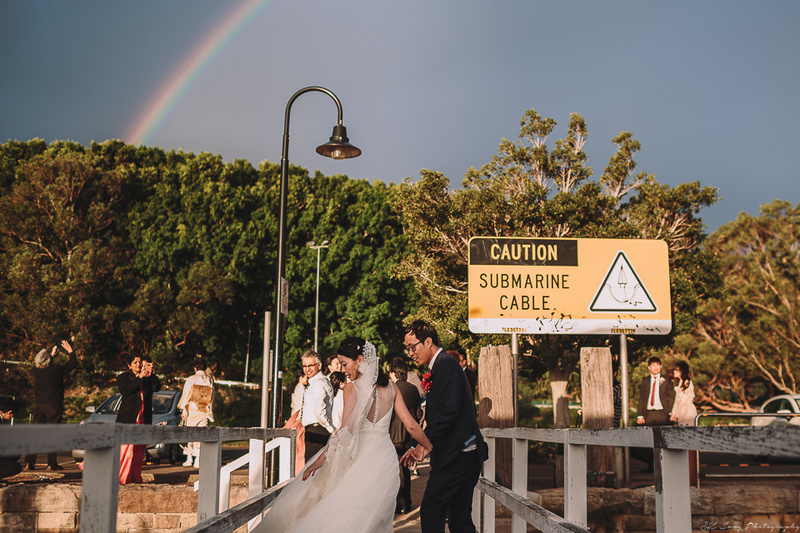 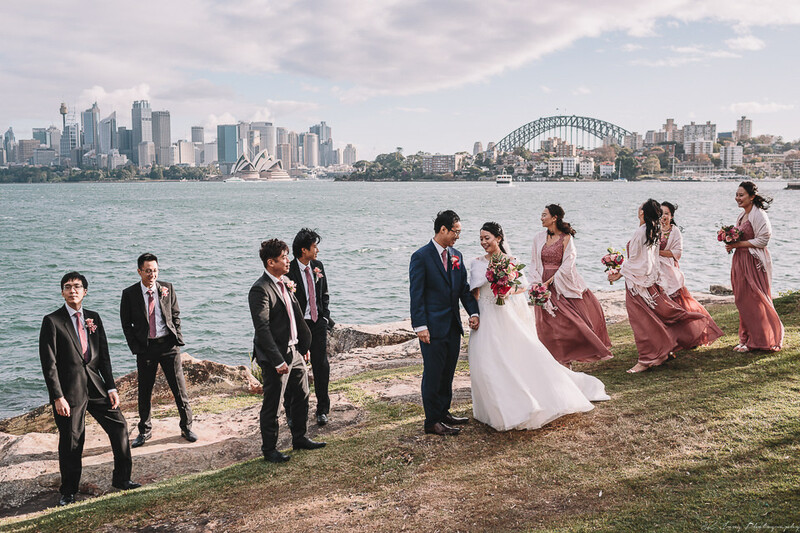 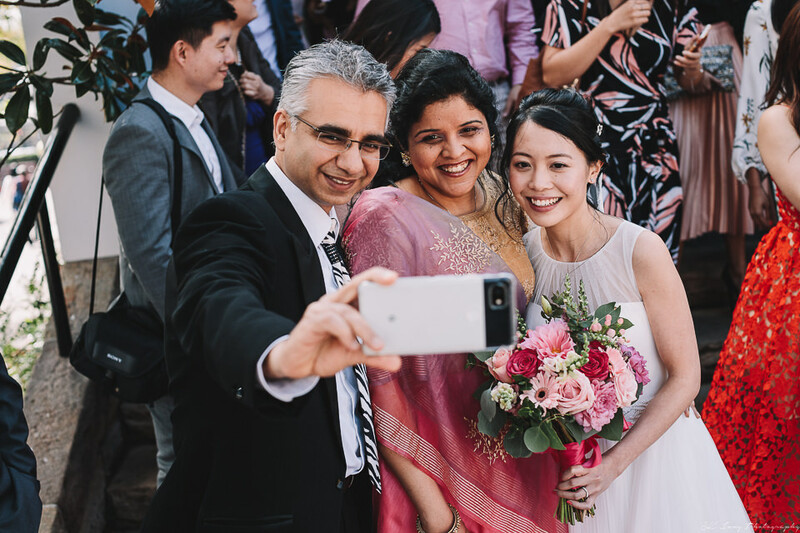 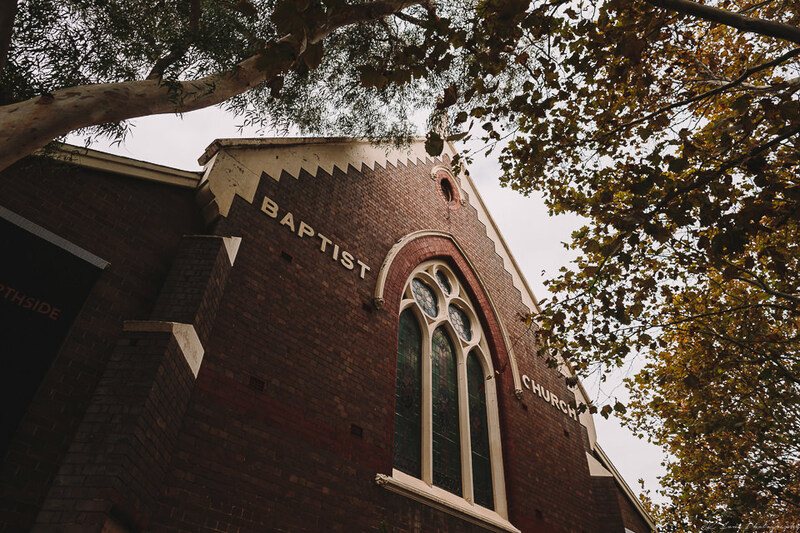 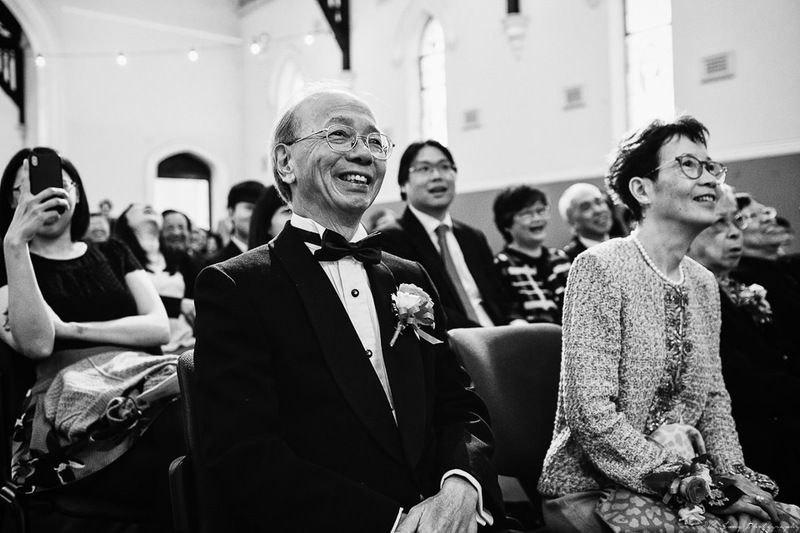 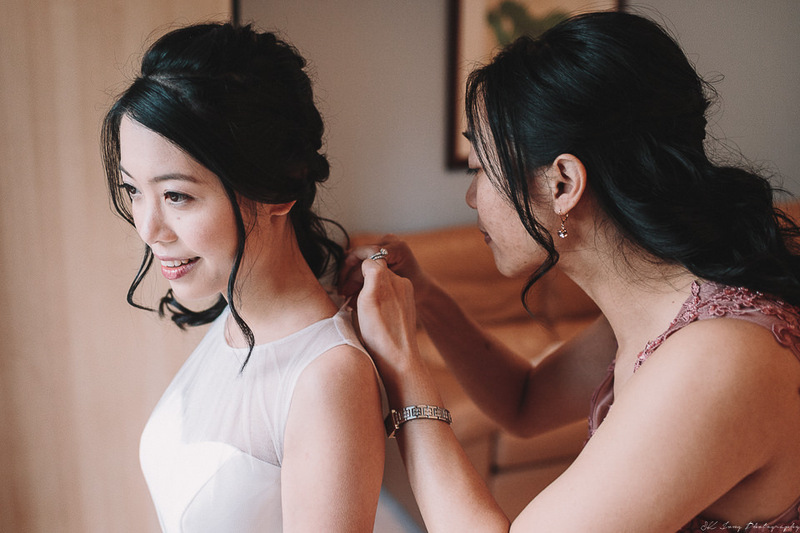 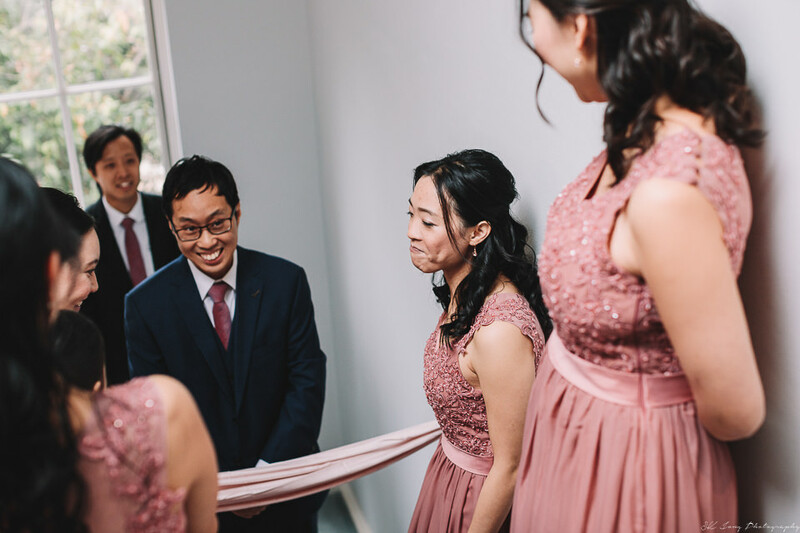 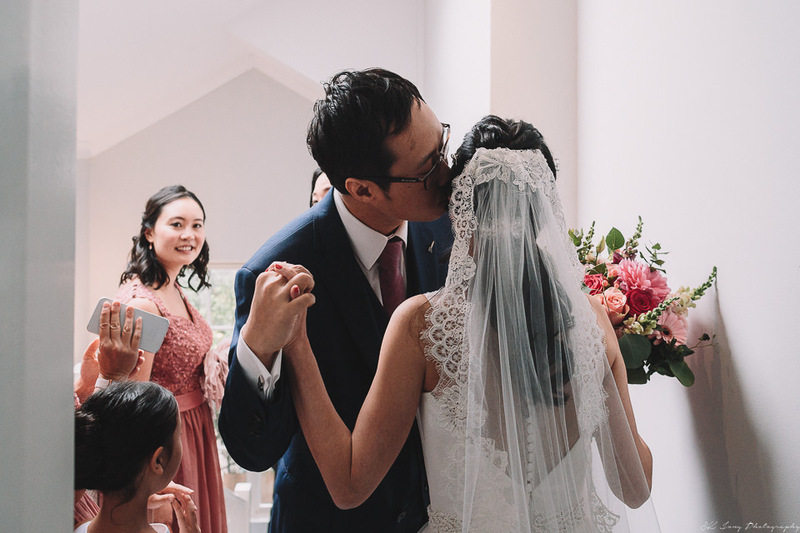 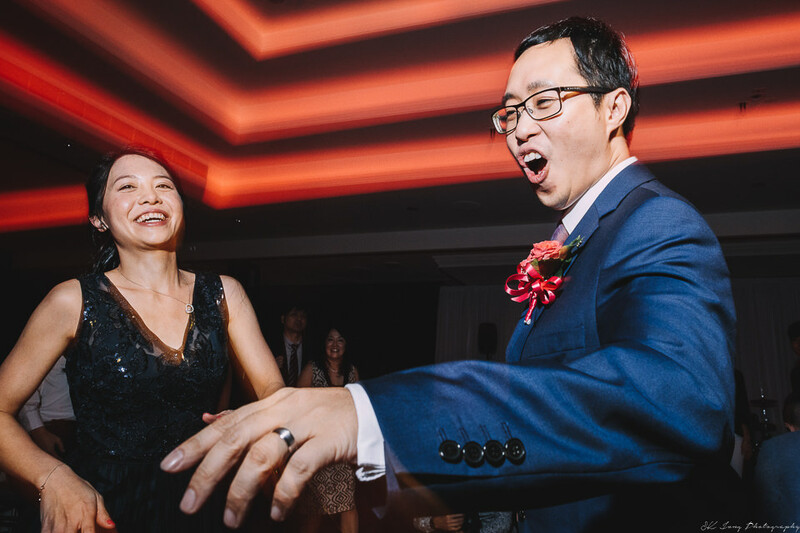 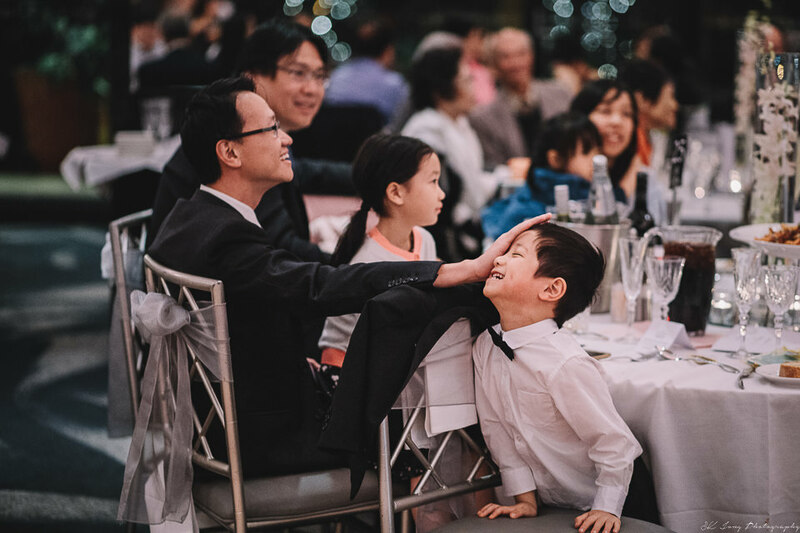 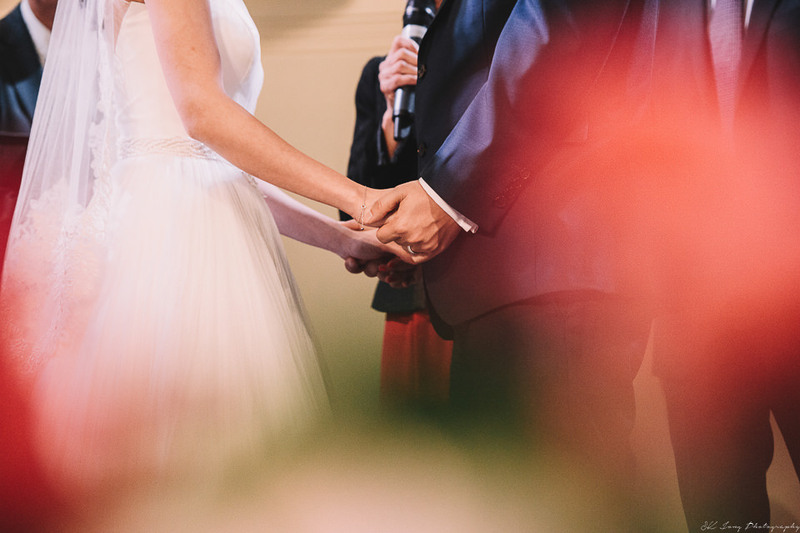 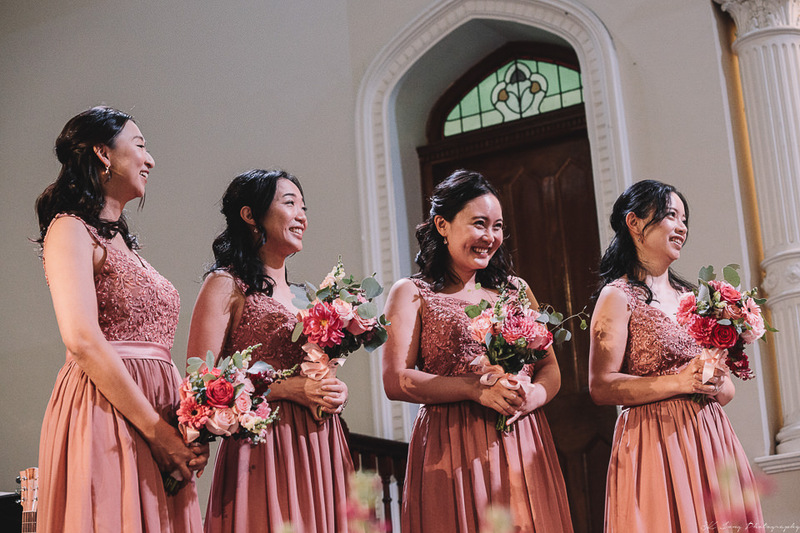 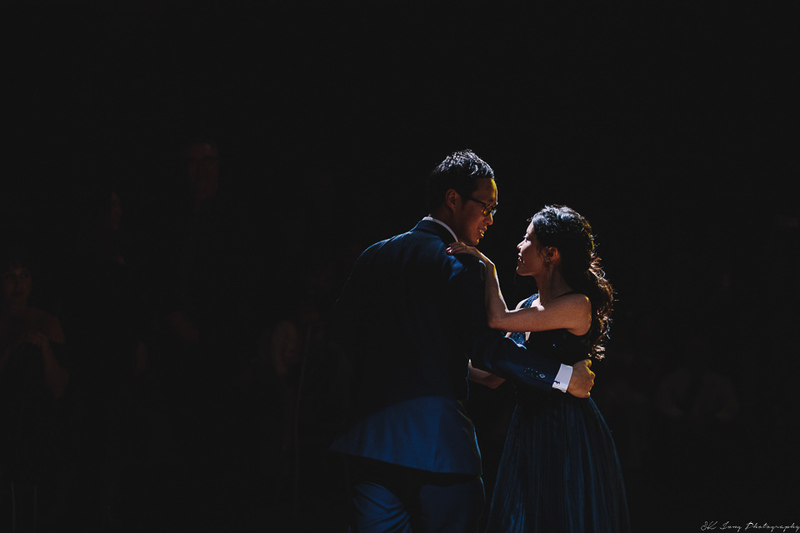 Karen & Darryl's church wedding ceremony were held at Crows Nest Japanese Christian Church. 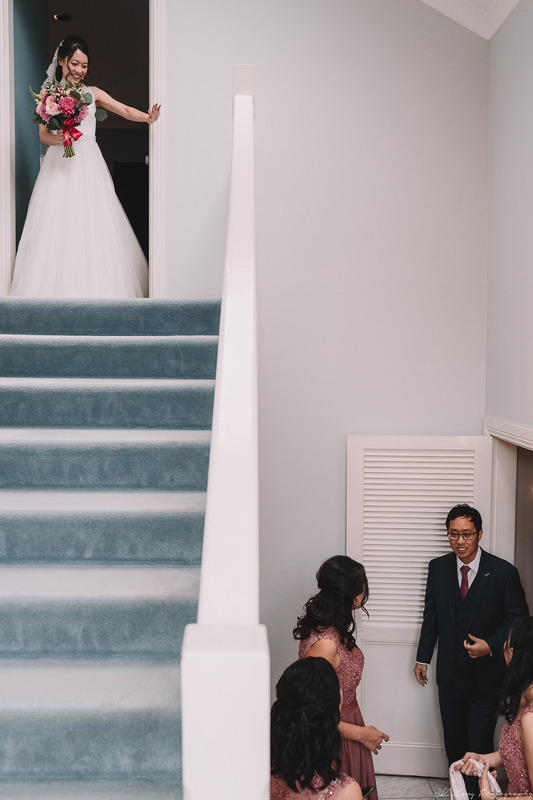 Before that, Darryl had to go though a series of obstacles at Karen's house before he could pick her up to go to church. 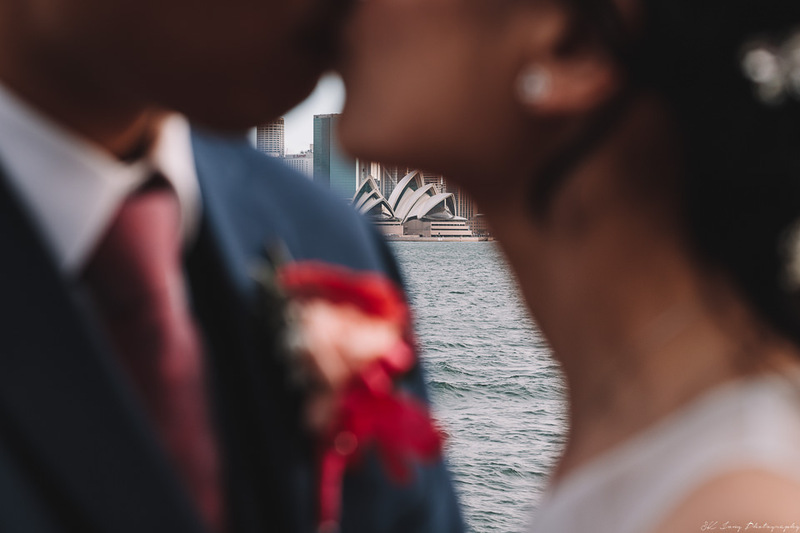 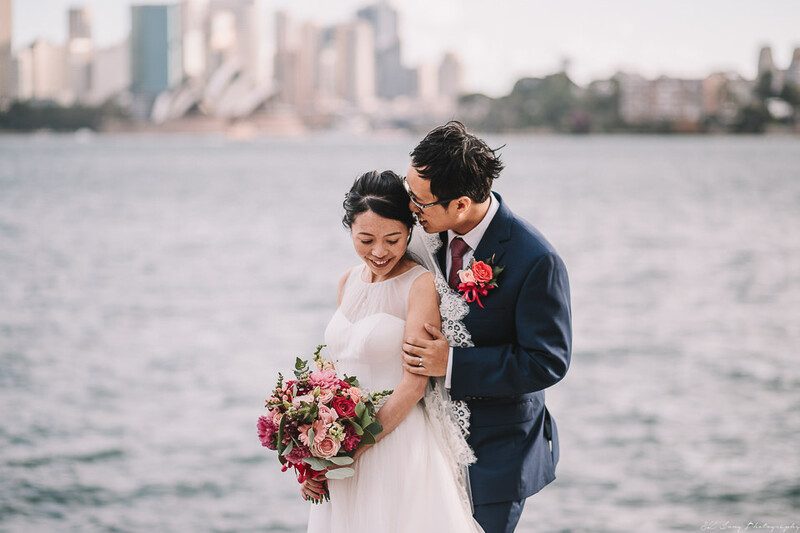 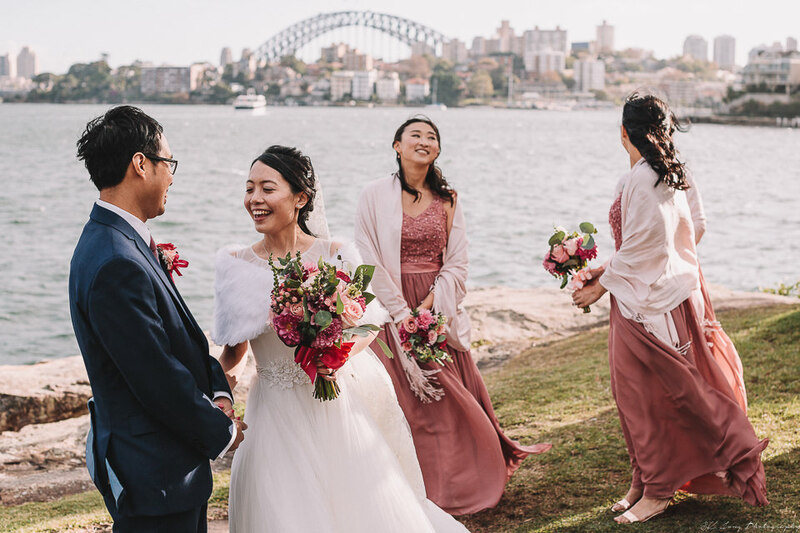 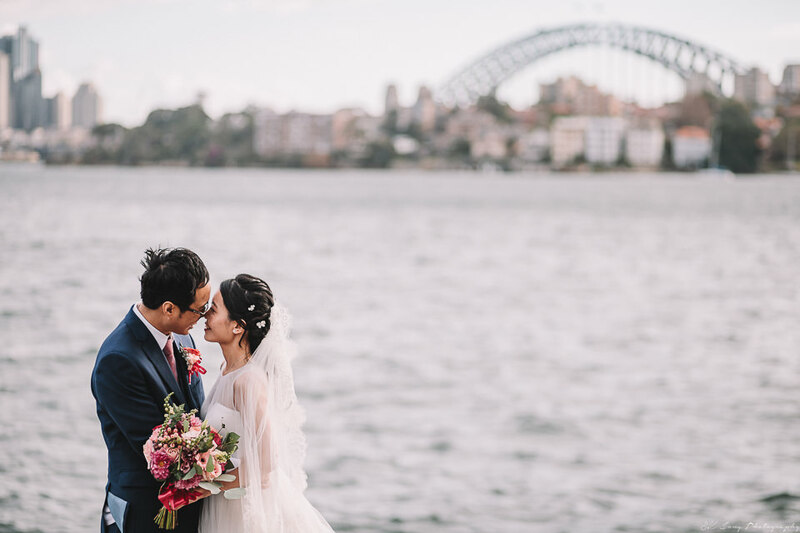 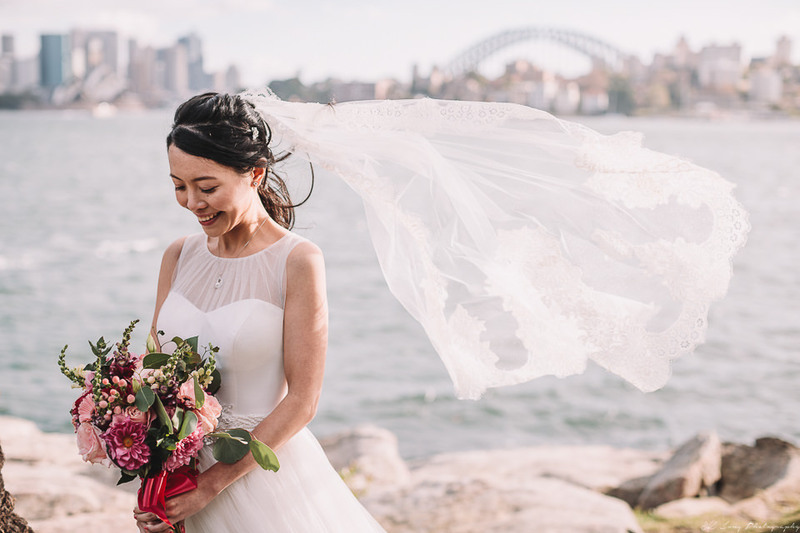 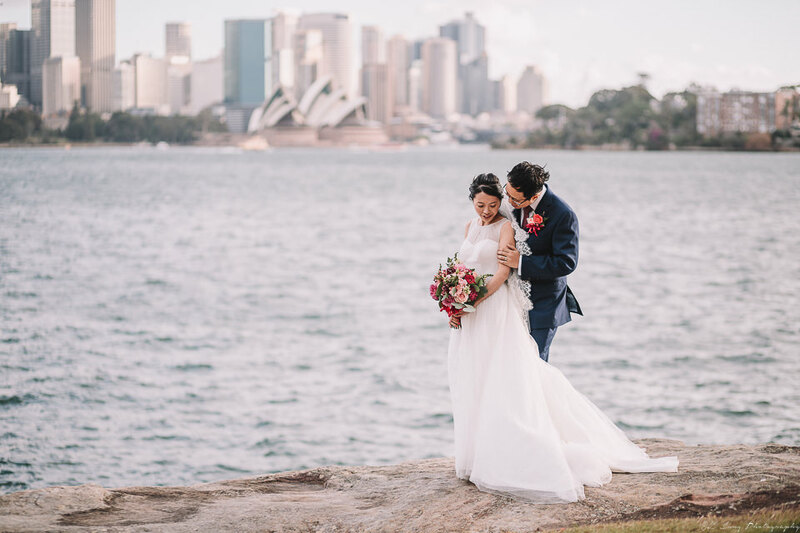 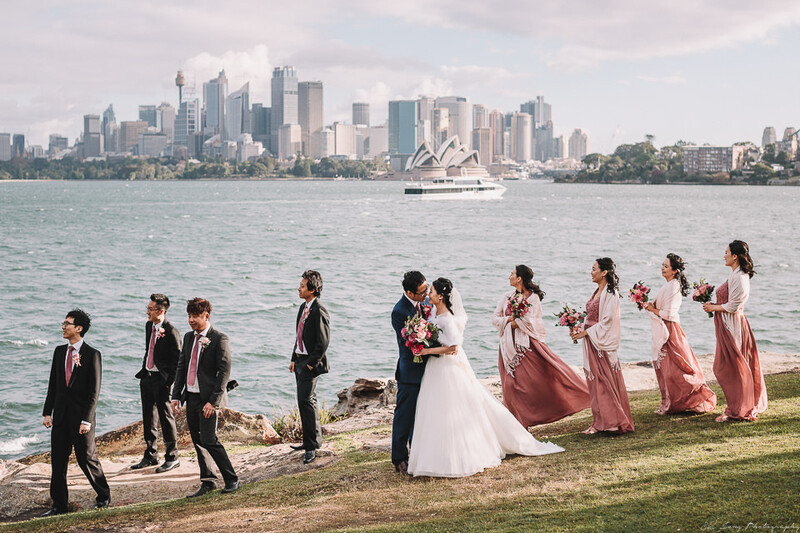 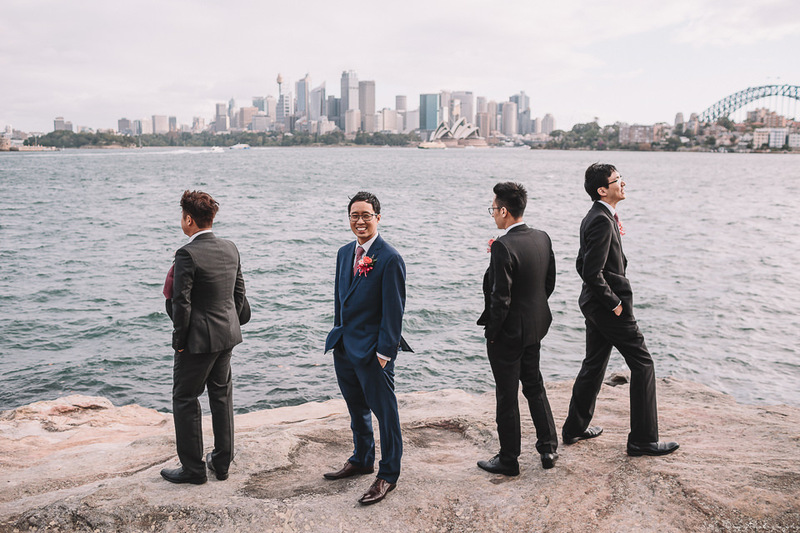 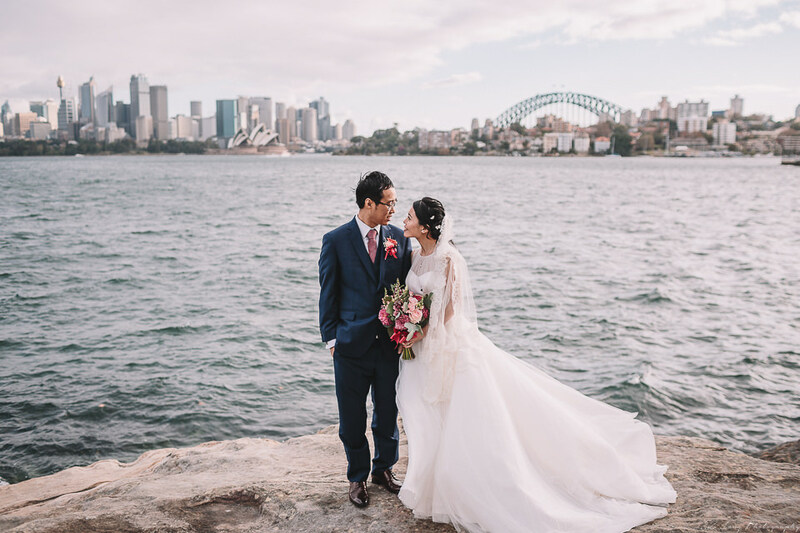 After church ceremony and a short coffee and tea break, we head out to Cremorne Point for portraits session. 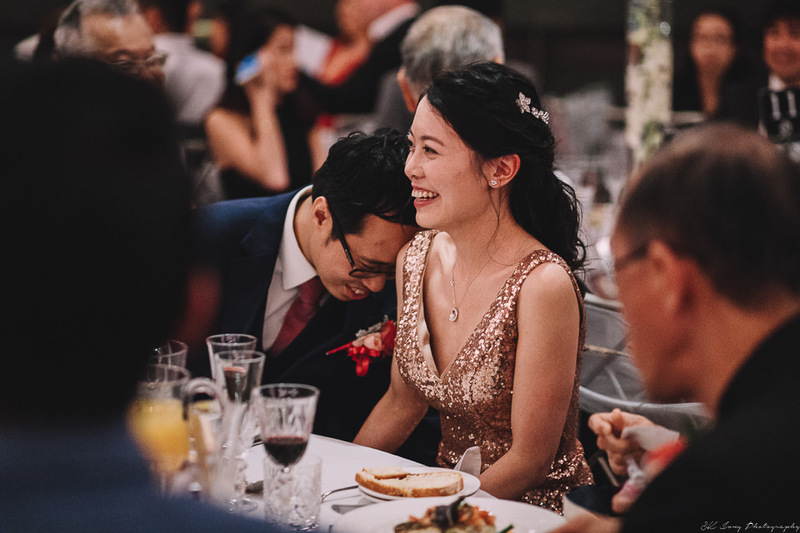 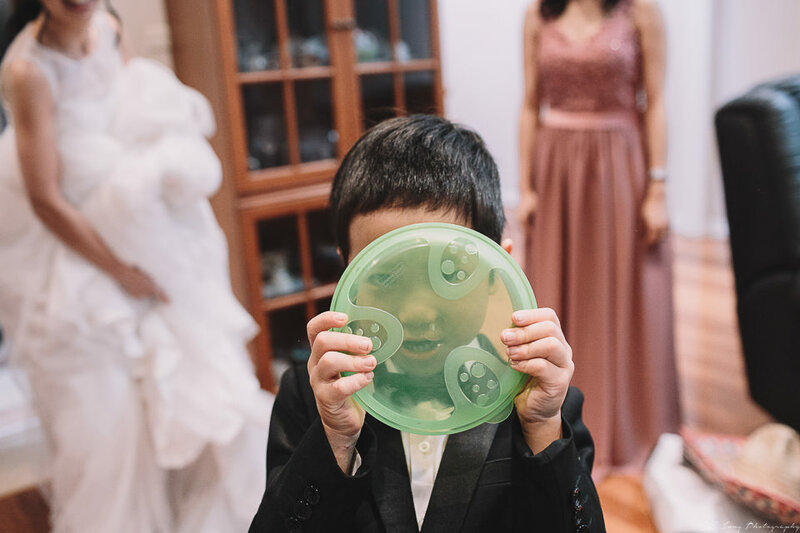 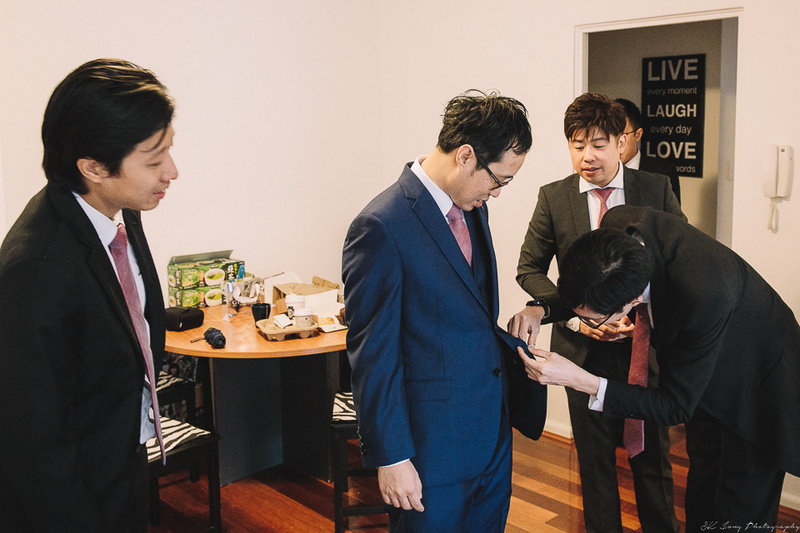 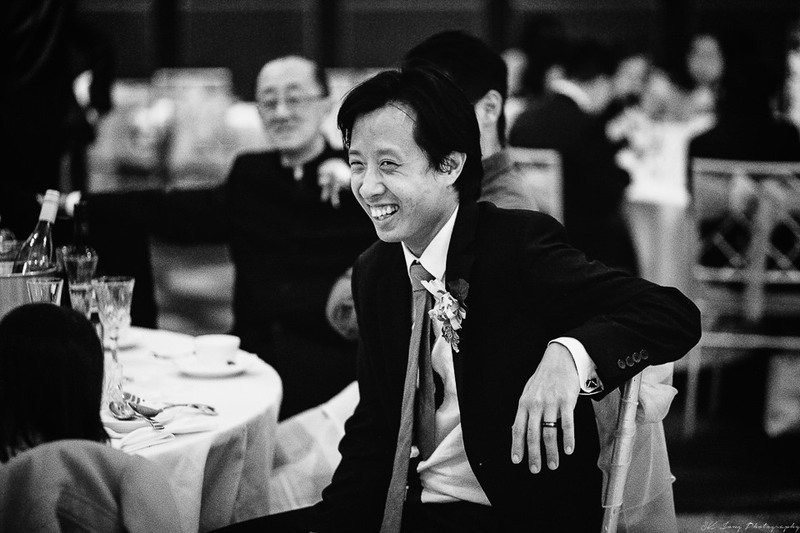 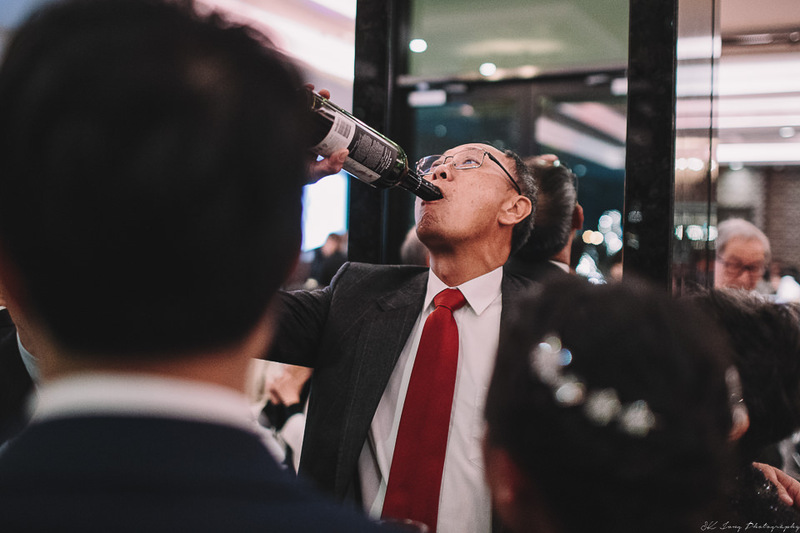 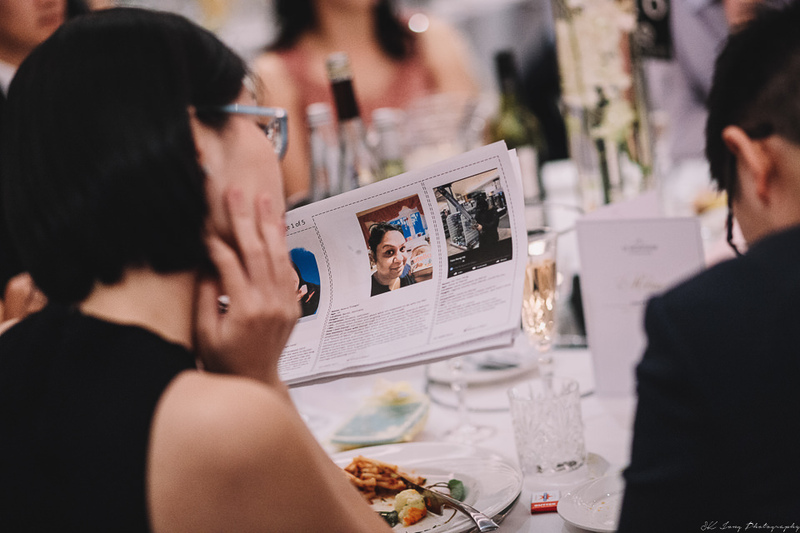 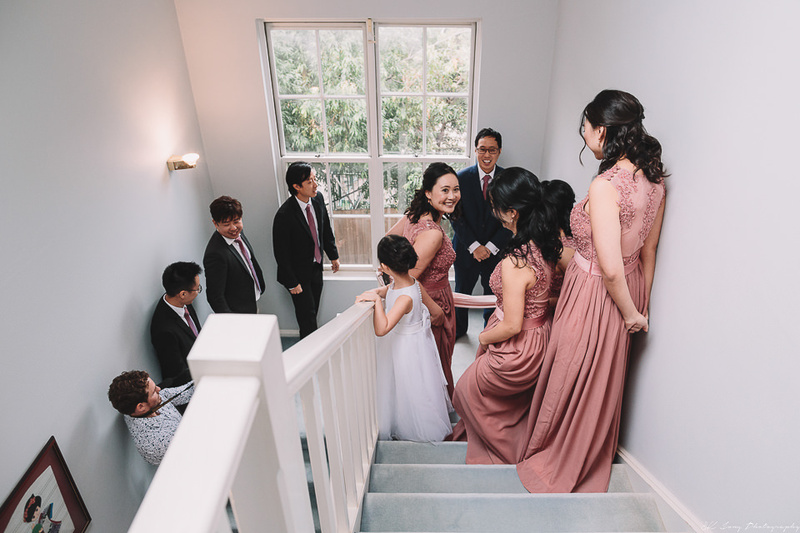 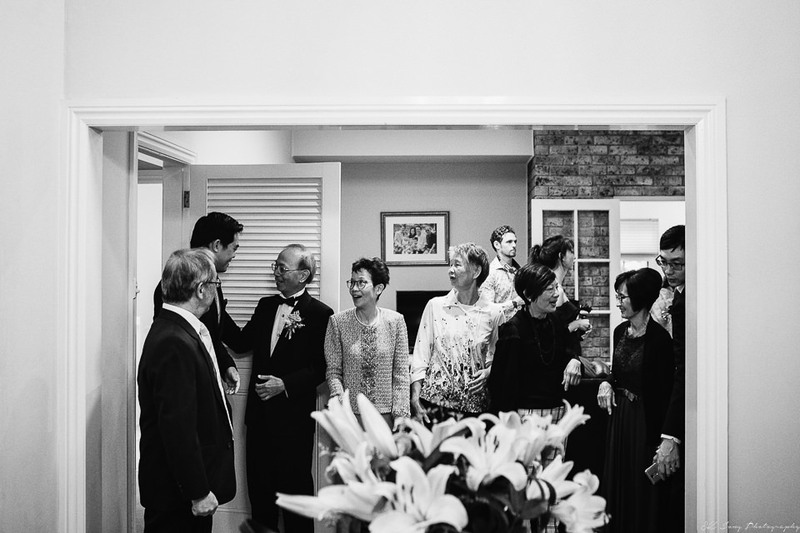 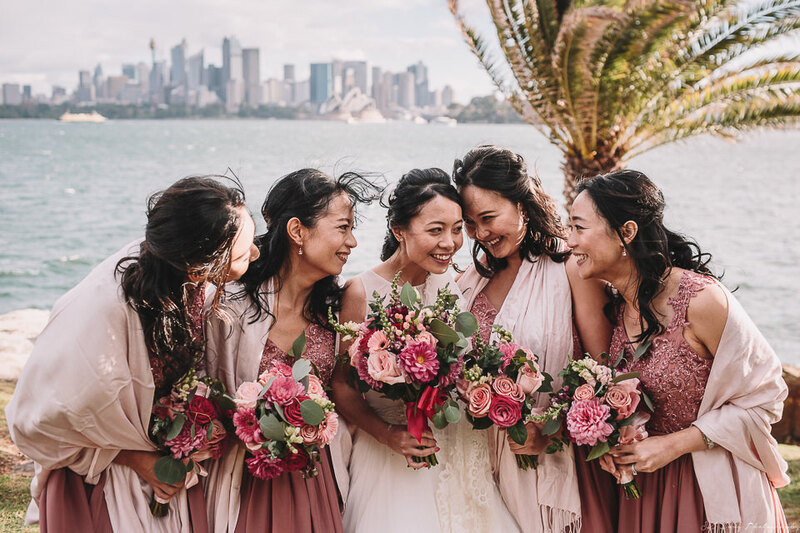 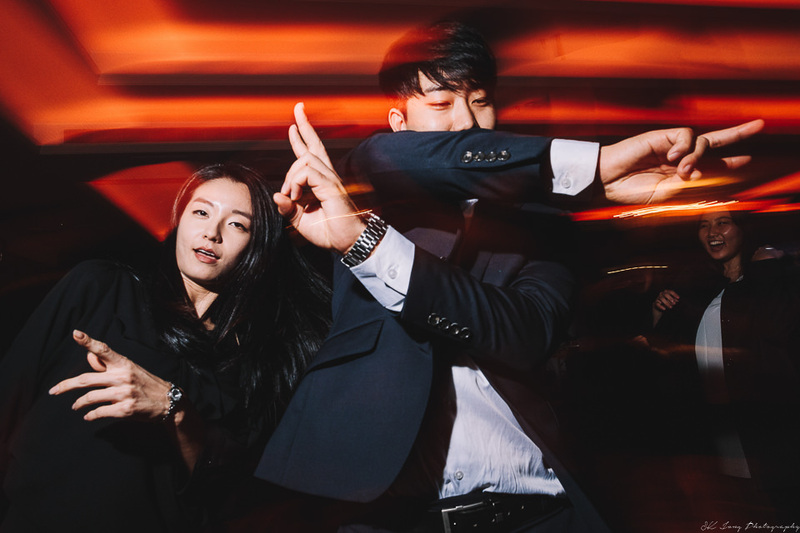 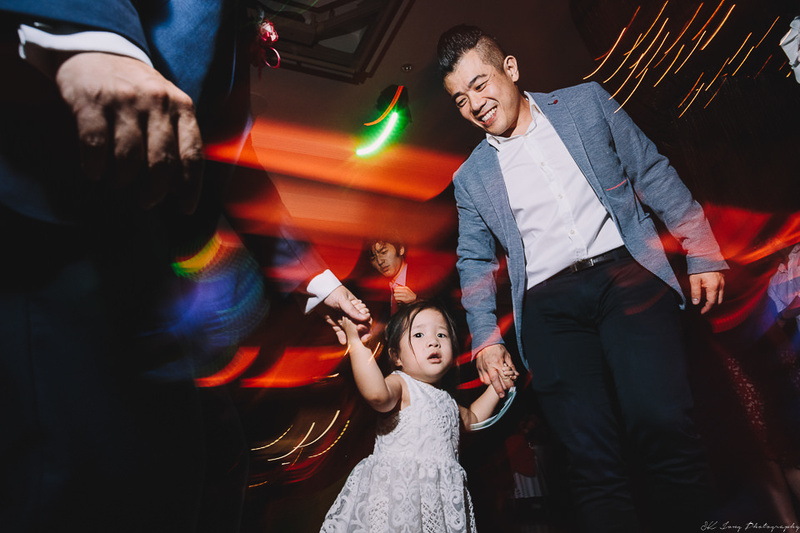 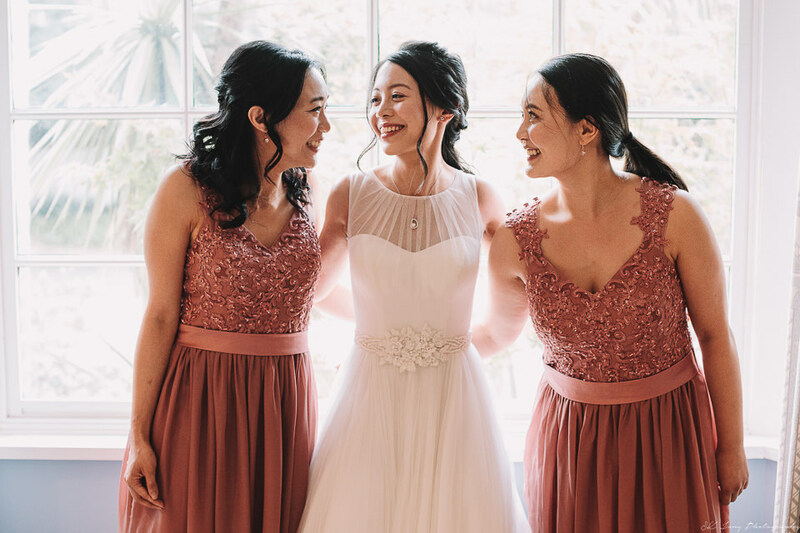 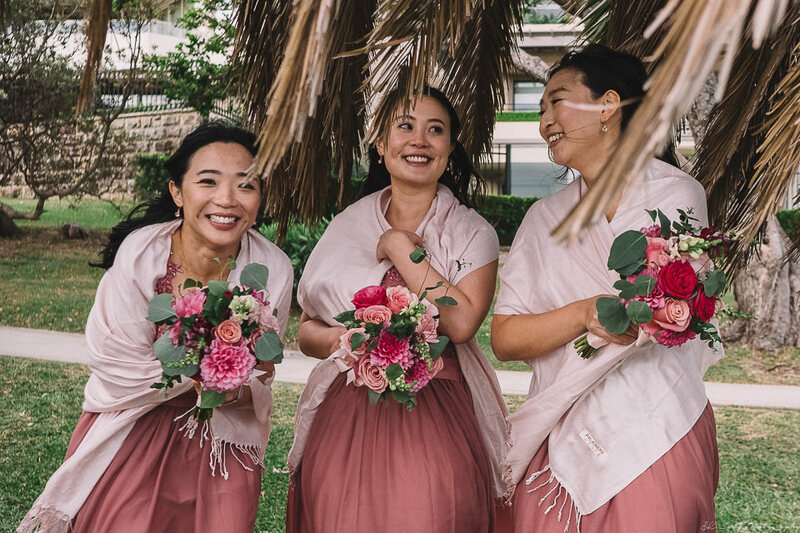 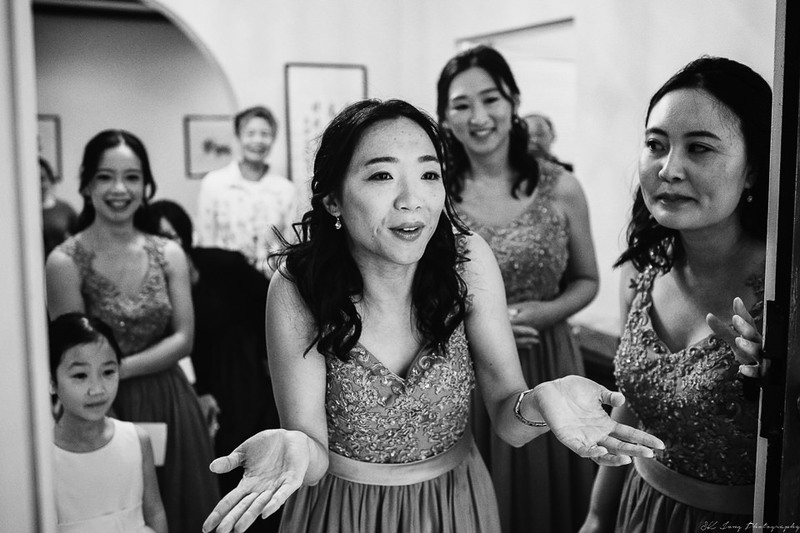 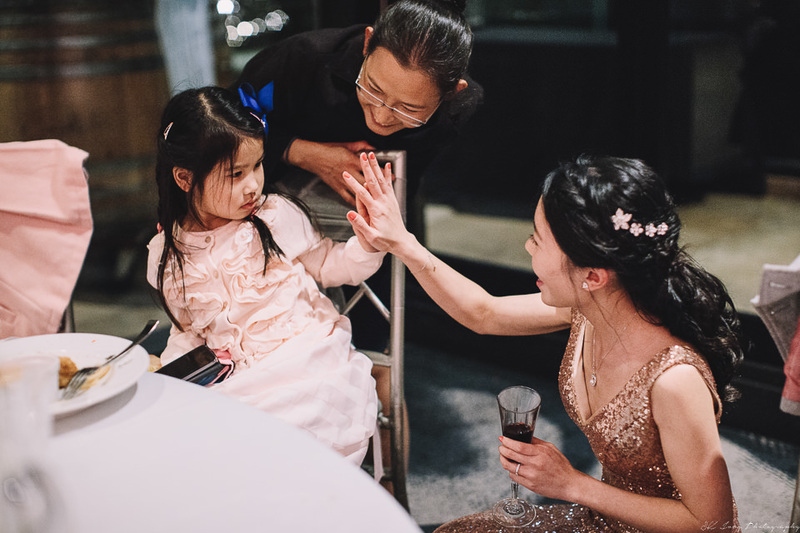 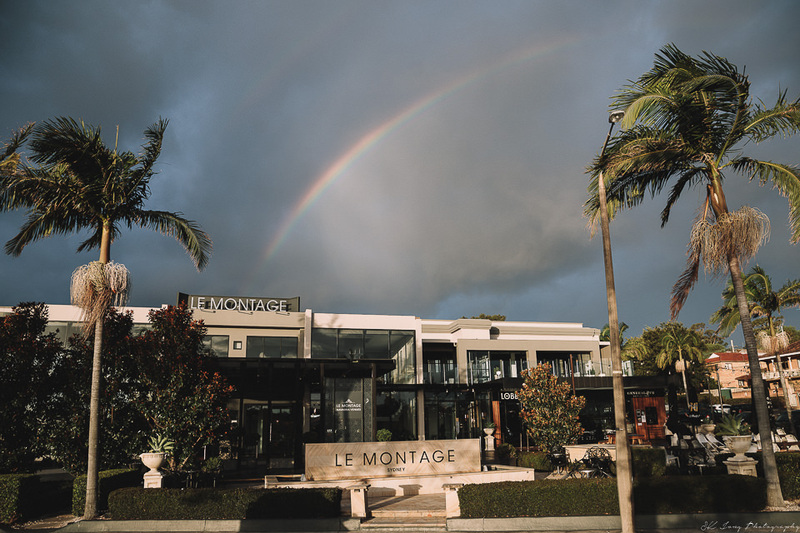 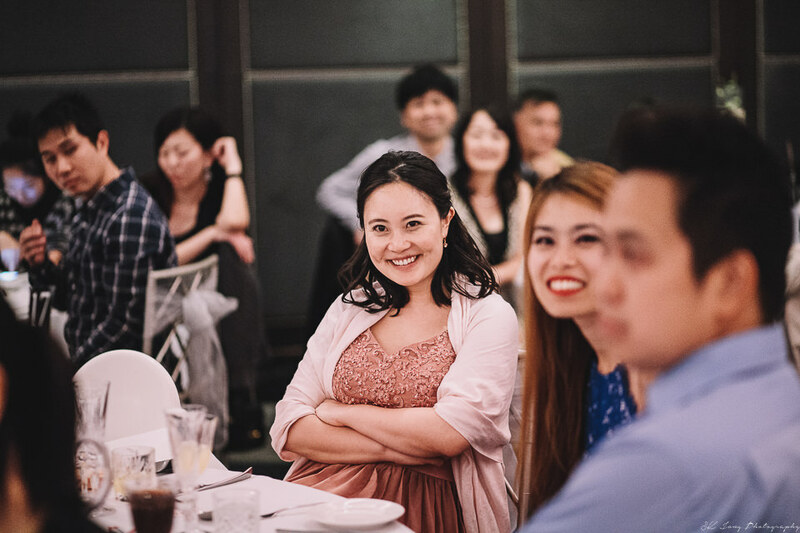 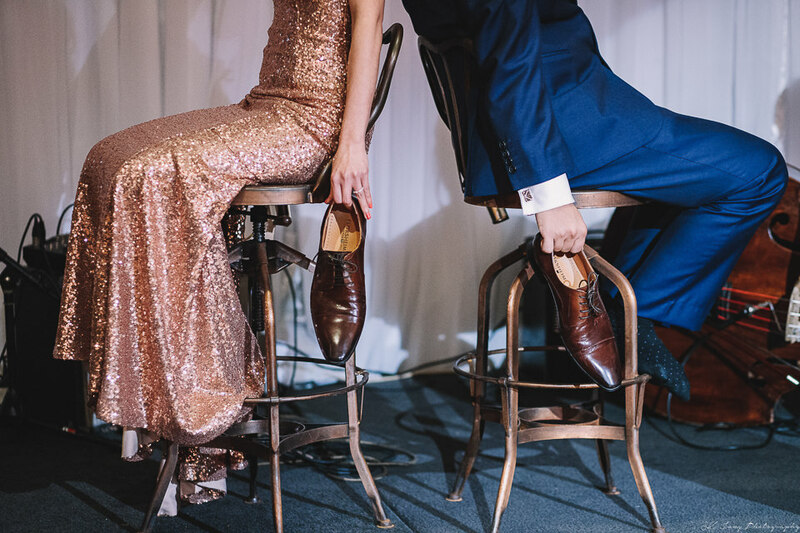 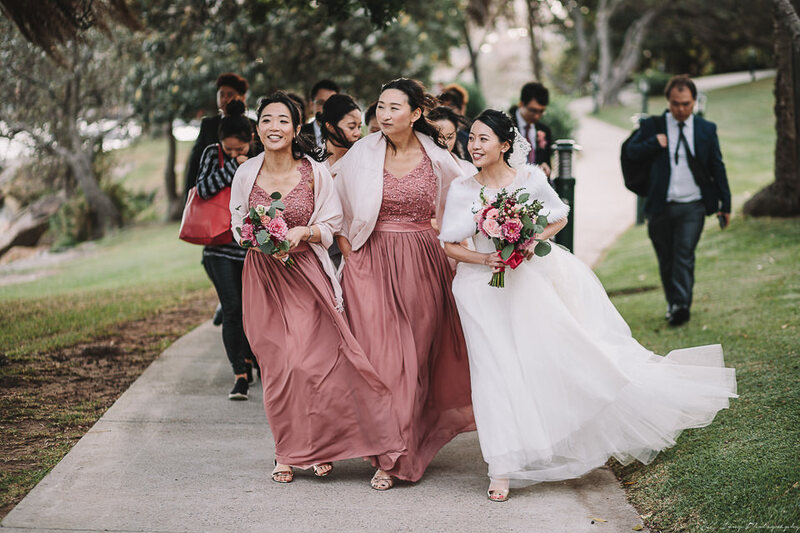 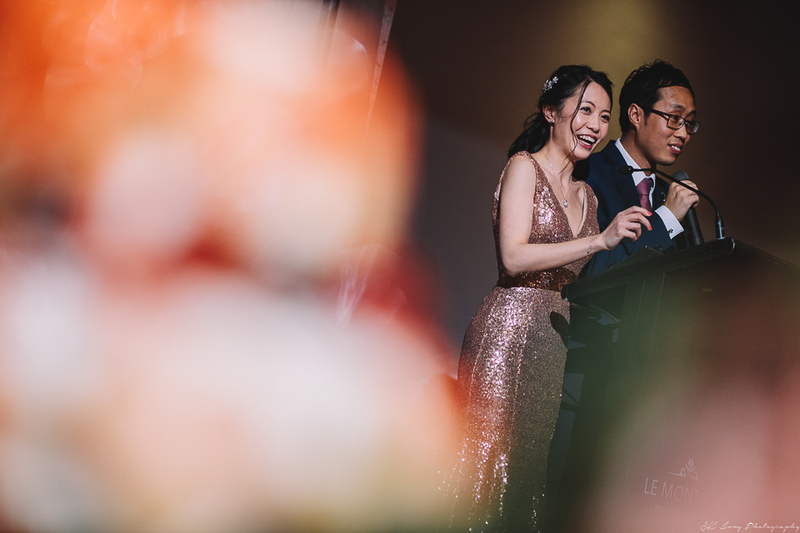 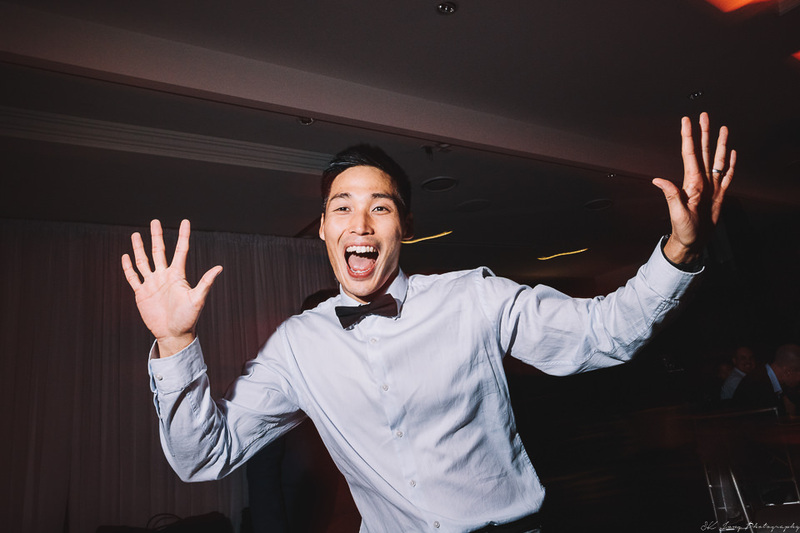 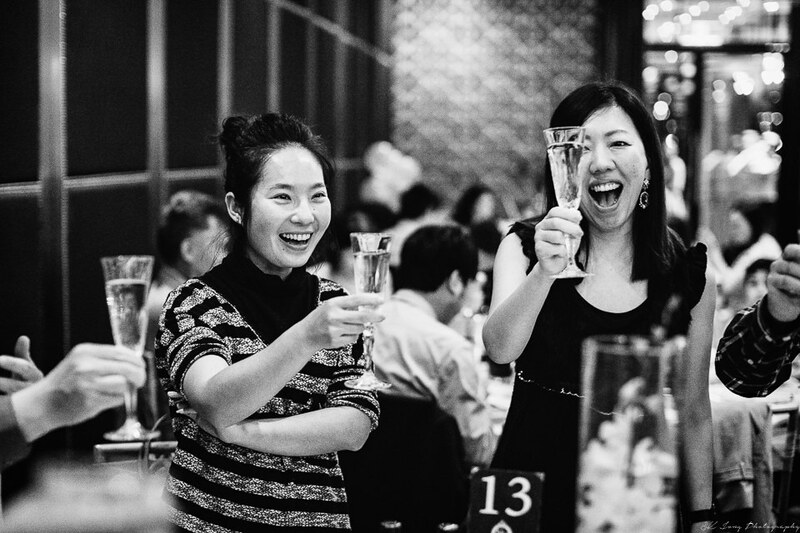 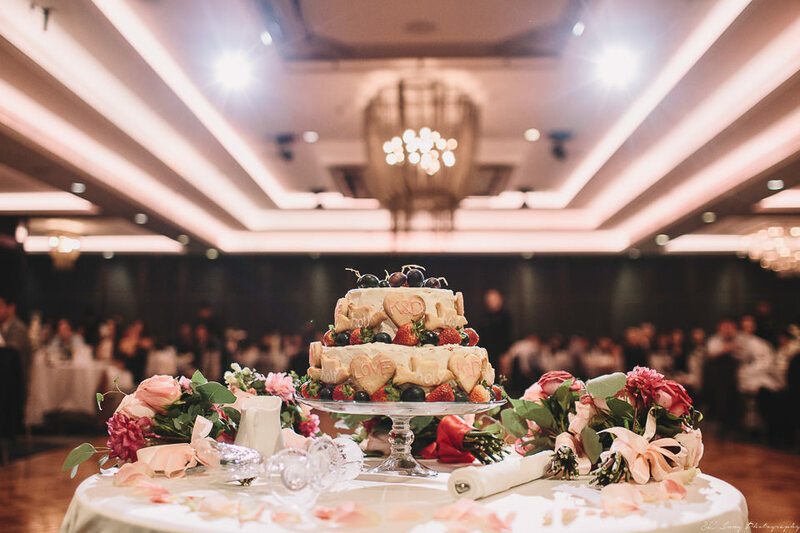 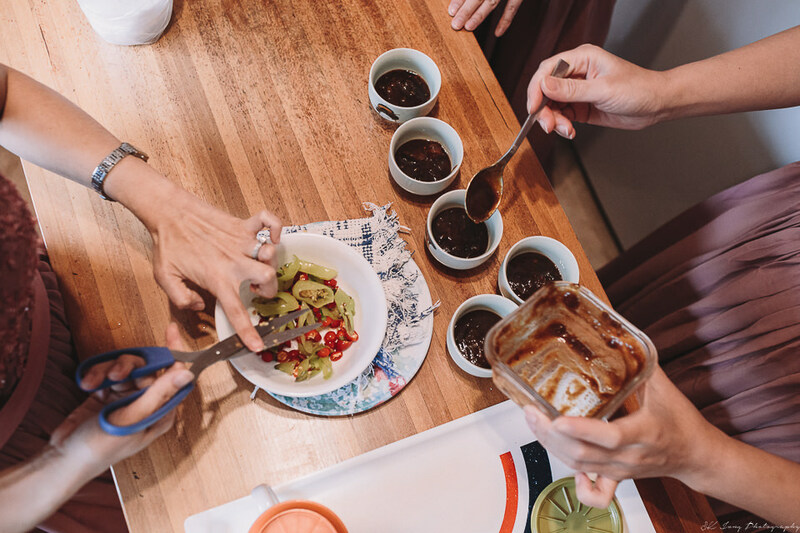 Time just pass so fast, before we released it, its time to head to Le Montage, Lilyfield for their Dinner Reception party.